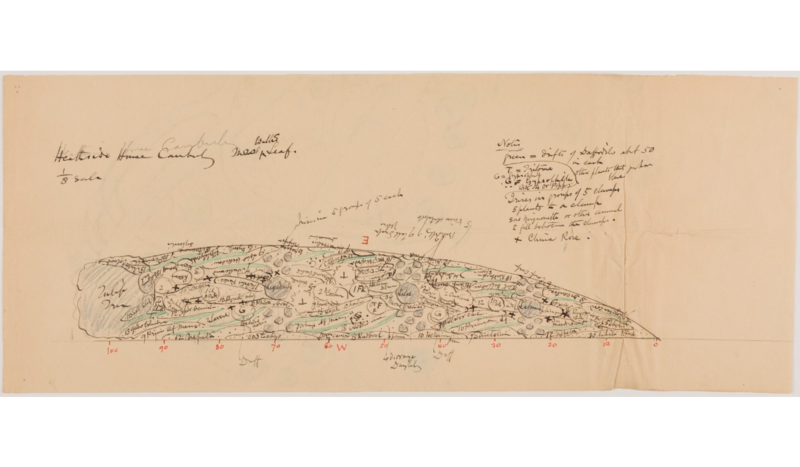 The Environmental Design Archives at the University of California, Berkeley, is proud to announce the online publication of 931 high-resolution images of drawings, maps, plans, correspondence, notes, and ephemera from The Gertrude Jekyll Collection. These images document Gertrude Jekyll's gardens and landscapes in the county of Surrey in the United Kingdom. The images are published on Calisphere, a gateway to more than one million digitized objects from libraries, archives, museums, and cultural institutions in the state of California. 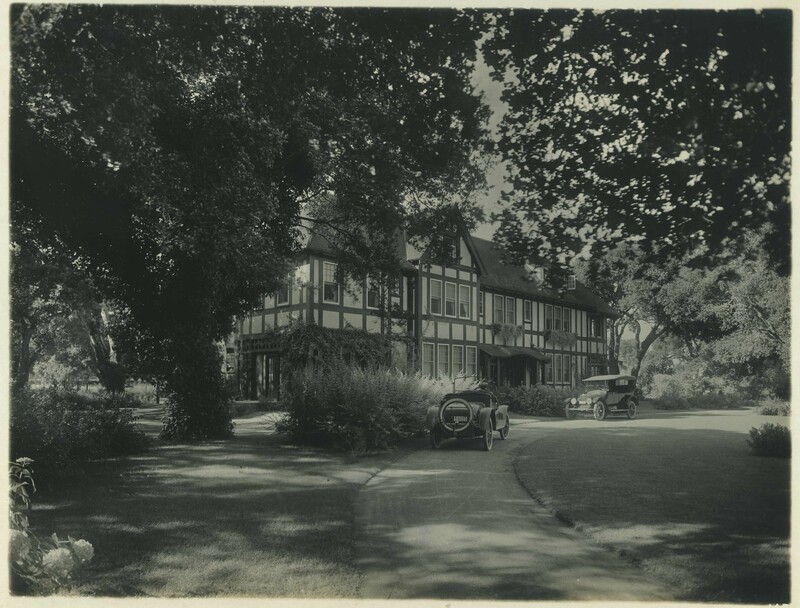 This digitization project was made possible by the generous support of the Surrey Gardens Trust, an educational charity dedicated to raising awareness of and protecting Surrey's heritage of historic parks, gardens and designed landscapes. 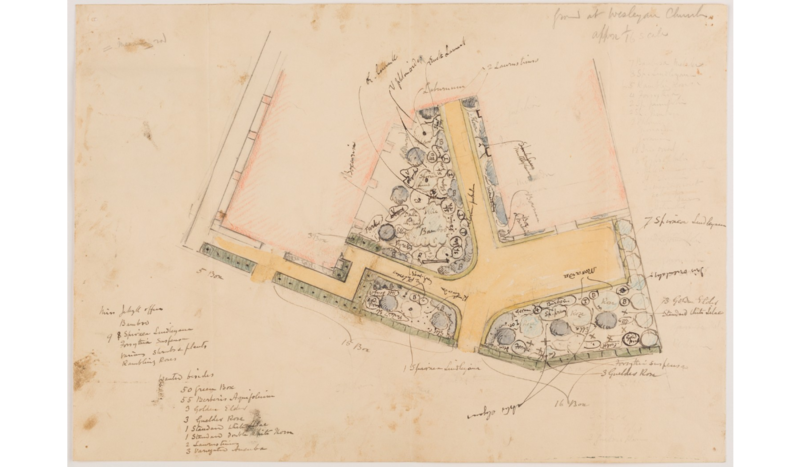 The documents from the Gertrude Jekyll Collection were individually digitized and cataloged in-house at the Environmental Design Archives, one of the foremost collections of Architecture, Landscape architecture, Planning, and Design records in the United States. 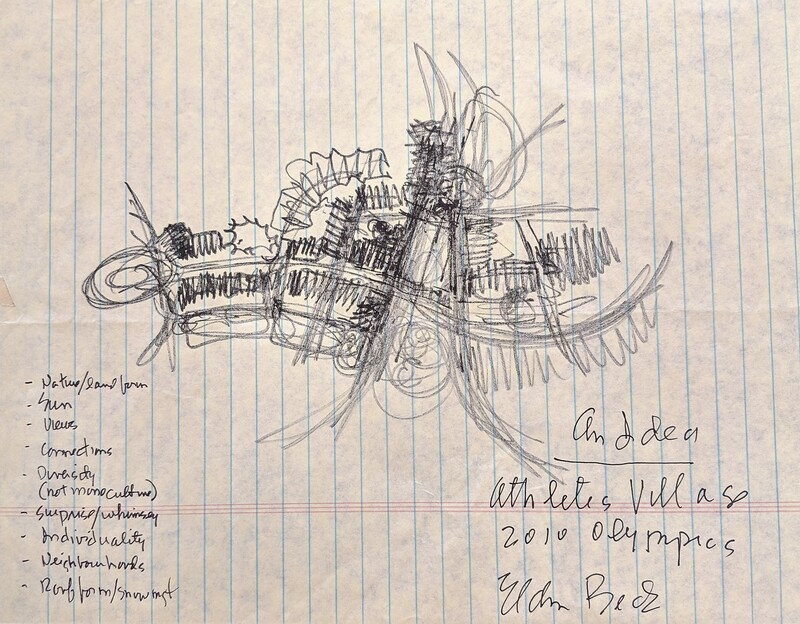 The EDA is happy to announce that the Eldon Beck Collection is processed and accessible to researchers! 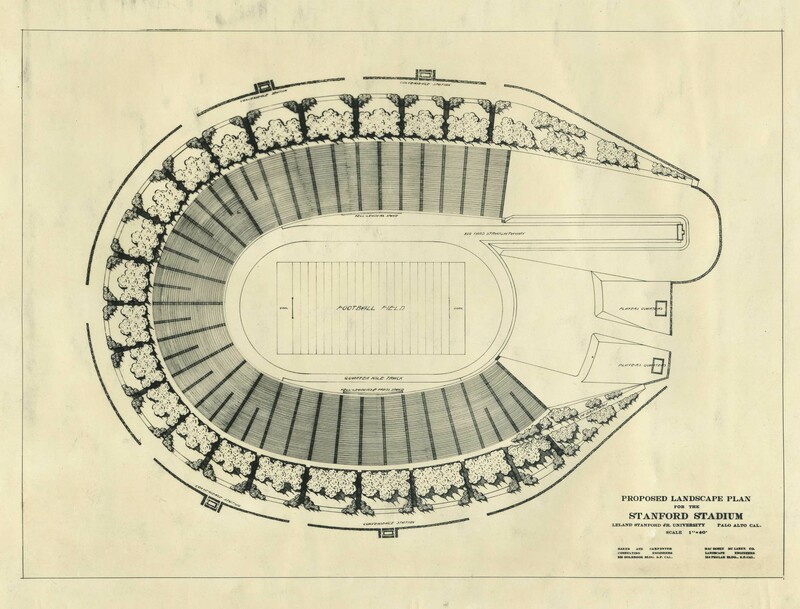 Beck graduated from the University of California, Berkeley's Department of Landscape Architecture in 1953. Beck began his professional career with Eckbo, Royston, and Williams in 1956 and was offered the position of Associate with the new firm of Royston, Hanamoto, and Mayes in 1958 when the Eckbo firm took a new direction. In 1960, he became a partner in the firm eventually known as Royston, Hanamoto, Beck, and Abey (RHBA). 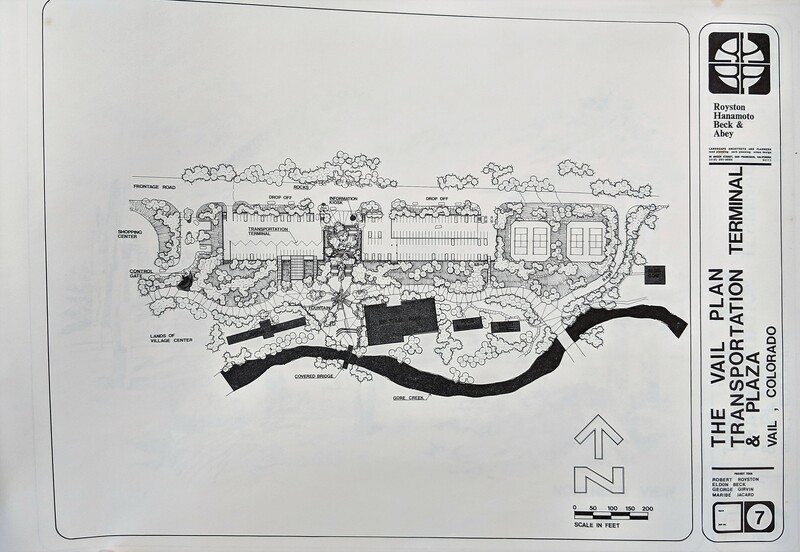 In September 1978, Beck was offered an appointment as Adjunct Professor of Landscape Architecture at UC Berkeley so he took a one year leave of absence from RHBA. 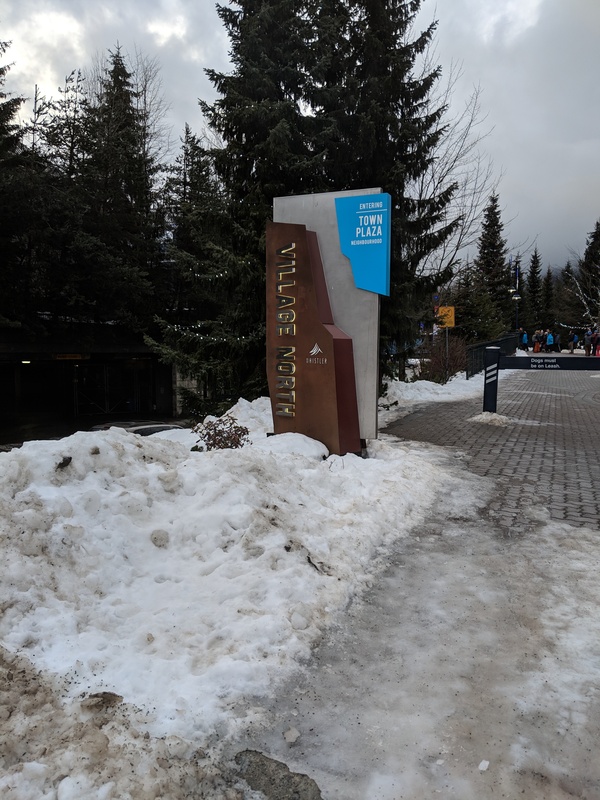 Although he had no intention of pursuing professional work, at the same date in September 1978, he was asked to prepare the masterplan for a new village at Whistler, British Columbia. 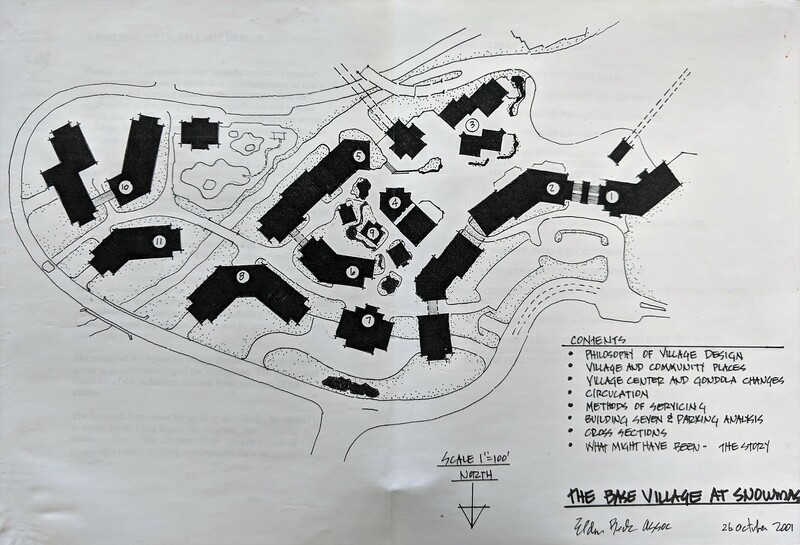 In September 1979, Beck left RHBA and established the firm of Eldon Beck, Landscape Architects with three employees, Steve Perkins, Renee Bradshaw, and Hope Rehlander, all graduates of the UC Berkeley Landscape Program. 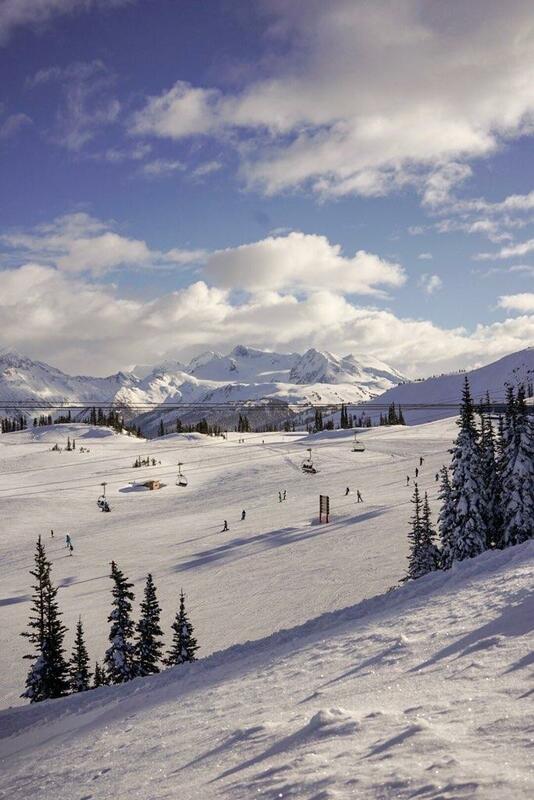 In 1985 additional major projects were offered and the corporation of Eldon Beck Associates was formed. Beck continued to teach at Berkeley until 1987. The Eldon Beck Collection spans the years 1968-2014 (bulk 1990-2006), and includes files created by Beck while working for RHBA and for his own practice. The collection is organized into three series: Professional Papers, Office Records, and Project Records. 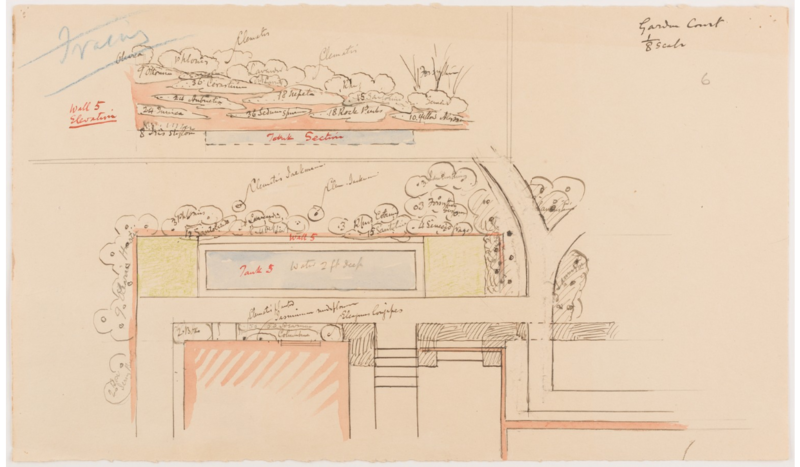 The collection documents his career including his work at RHBA, his own landscape architectural practice, and teaching at the University of California, Berkeley. 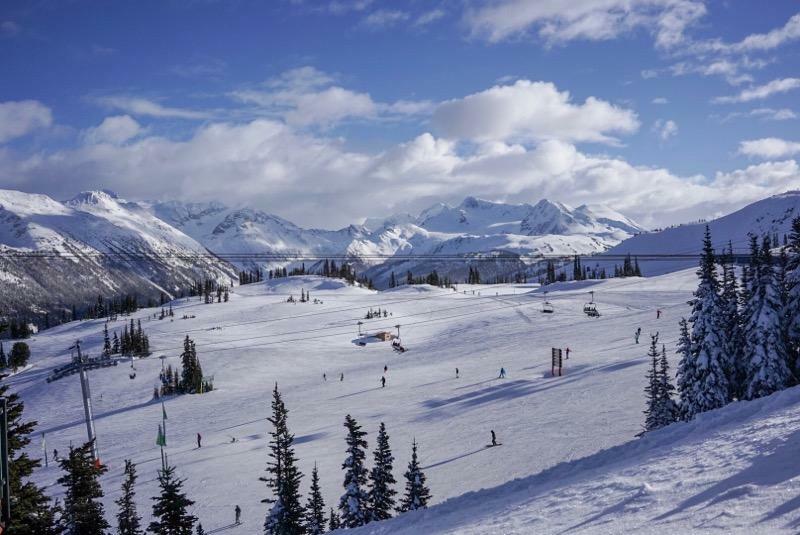 His career focused on designing landscapes for commercial and recreational spaces, of which many are well documented in this collection, including the Olympic Athletes Village in Whistler (2006-2010), Whistler Village and Town Center (1978-2010), Mont Tremblant Village (1991-2000), Snowmass Village (2001-2004), and Remarkables Park (1996-2005). 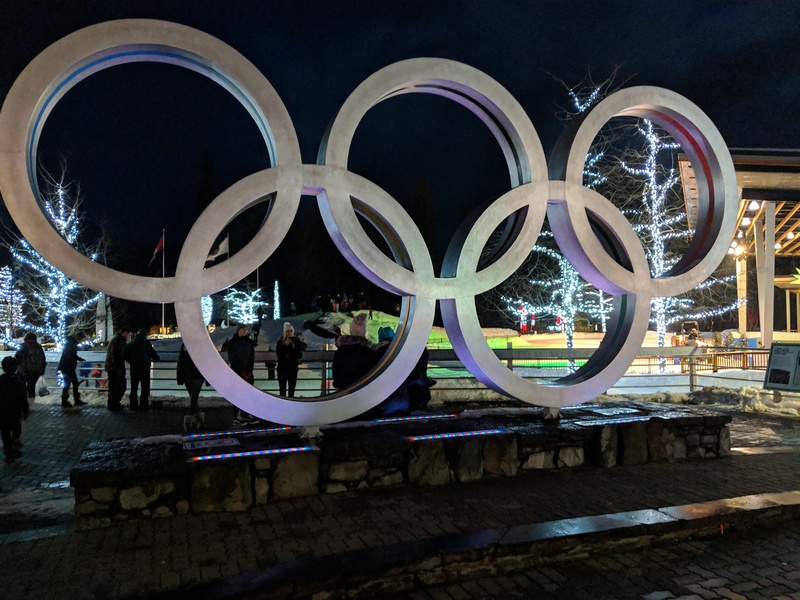 In the December 2018, I was fortunate to spend some time in Whistler, BC, Canada and see firsthand the ingenuity and design that Beck put into Whistler Village, the Olympic Legacy Village, and Plaza. Experiencing firsthand the environment that Beck created while simultaneously processing his collection was both educational and magical. Below are photographs taken during my visit. icam or the International Confederation of Architecture Museums, is an organization of architectural museums, centres, and collections, dedicated to fostering links between all those interested in promoting a better understanding of architecture. 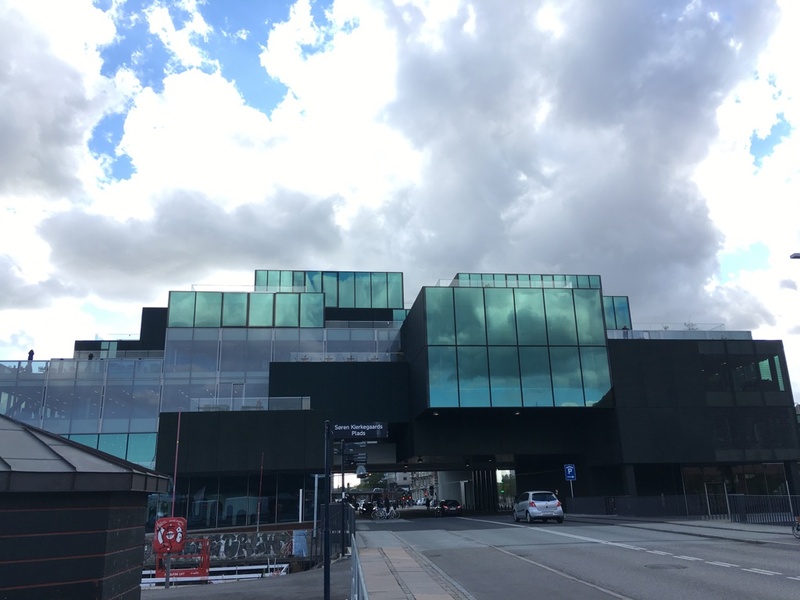 I was lucky enough to apply and receive a scholarship to attend their conference in September of 2019 in Copenhagen, hosted by the Danish Architecture Center in their new home designed by OMA call BLOX. Taking as its theme 'Migrating Ideas" the conference invited its participants to connect with their peers. Attending icam19 provided me with the opportunity to meet curators and archivists from all over the world giving me the chance to discuss acquisition policies, born-digital architectural records, fundraising strategies, exhibition ideas/approaches, and learn first-hand about Danish architecture and design. 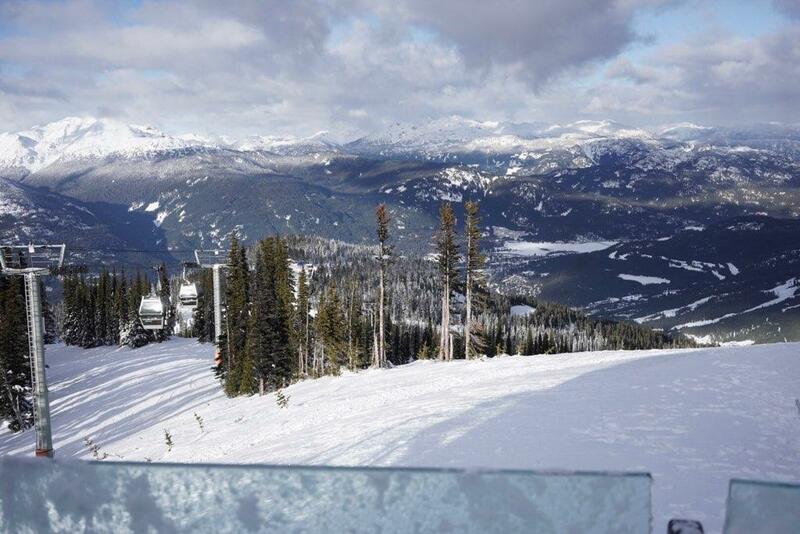 It was an incredible professional conference experience, that is incomparable. The unique format of icam, enables you to get to know new colleagues over a relatively short period, which allowed me to develop and widen my professional network of consummate professionals from a variety of institutions: museums, centers, archives, collections, libraries, and educational institutions; connections that have already led to subject specialty knowledge exchange. Dining at Henning Larson where we got to experience first hand the interworkings of an international firm practicing comprehensive integrated design and eat a delicious 5-course dinner prepared by their in-house chef. I sat across the table from a CED graduate who has worked with the firm for two years, small world! The head archivist giving us a tour of the national collection of architectural drawings. Louis Smaus- New Addition to the EDA! 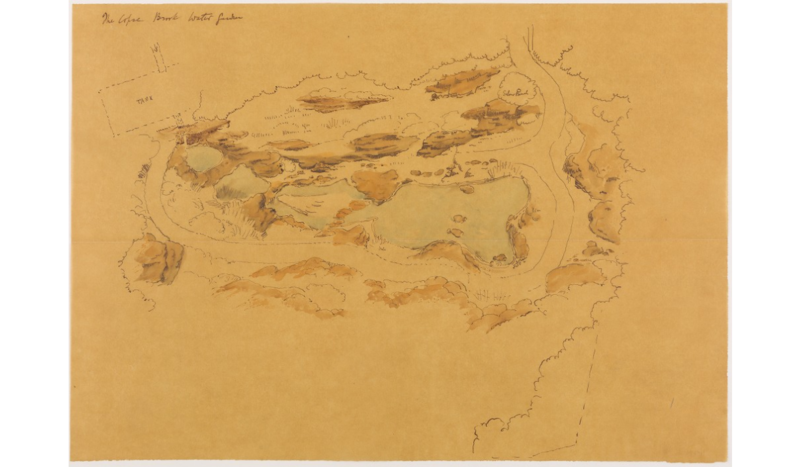 In January of 2018, the EDA was delighted to receive a donation of the work of landscape architect Louis Smaus, who practiced in New York and the San Francisco Bay Area from the early 1910s until his retirement in the 1950s. 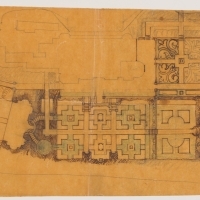 Smaus attended horticultural school near Hamburg, Germany where he began his career working as a landscape gardener at Paul Hauber Baumschulen. Smaus emigrated to the U.S. at age nineteen and found work, with a large firm in New York, as a landscape gardener of private and commercial grounds. 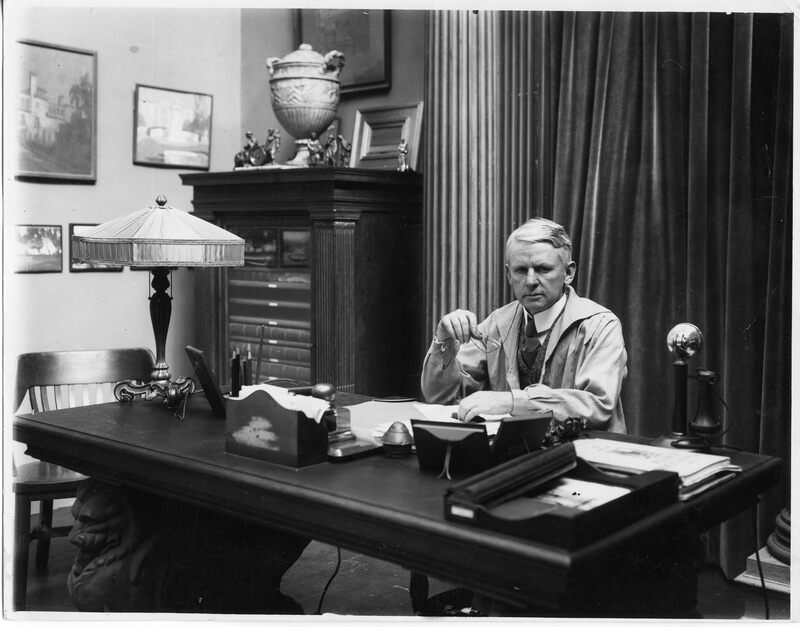 In 1910, Smaus moved to California where he worked at Stanford University and had charge of the Lathrop grounds. Following this Smaus became an employee of A.B. Spreckels, sugar magnate, and maintained the Spreckels estate in Napa, CA. 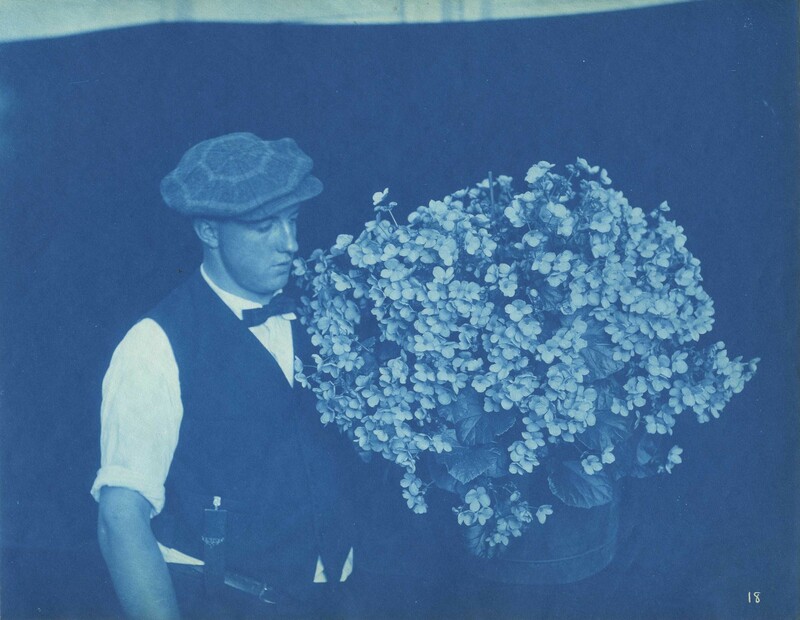 In the late teens he joined the MacRorie-McLaren Company in San Mateo, CA who worked with major clients such as Mrs. Henry Allen and Andrew Welch and provided a majority of the plants for the 1915 Panama Pacific International Exposition. 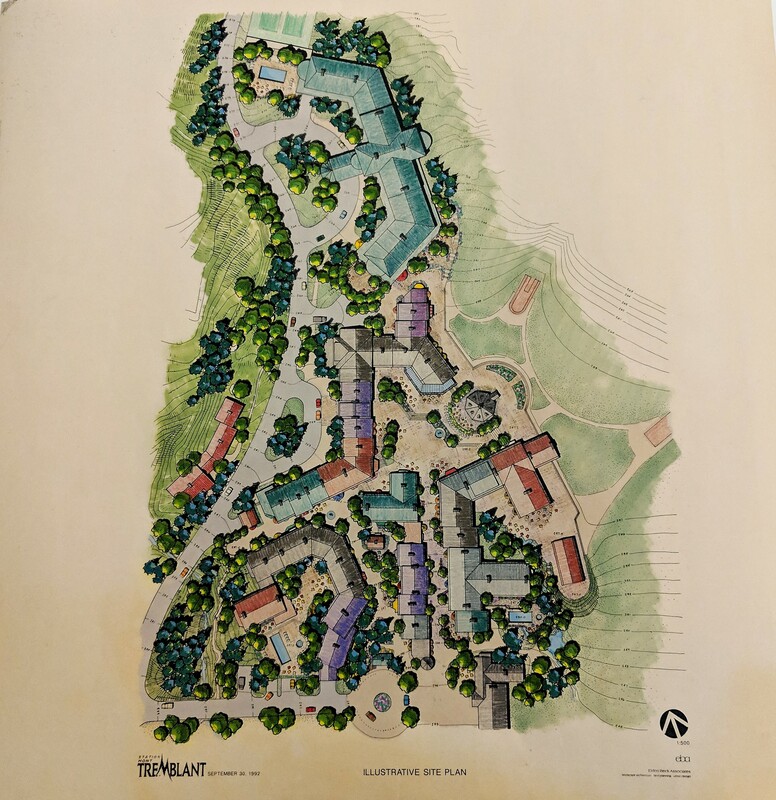 Smaus went into business for himself as a Landscape Engineer in 1931, working on Milton Haas estate in Los Altos, the Lachman estate, among others, retiring in the early 1950s. 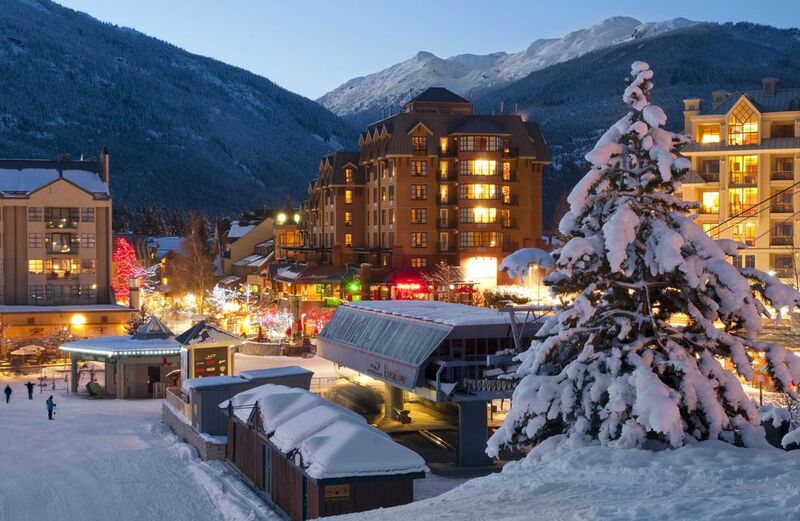 3rd ANNUAL FORM FOLLOWS COMPETITION WINNERS ANNOUNCED! 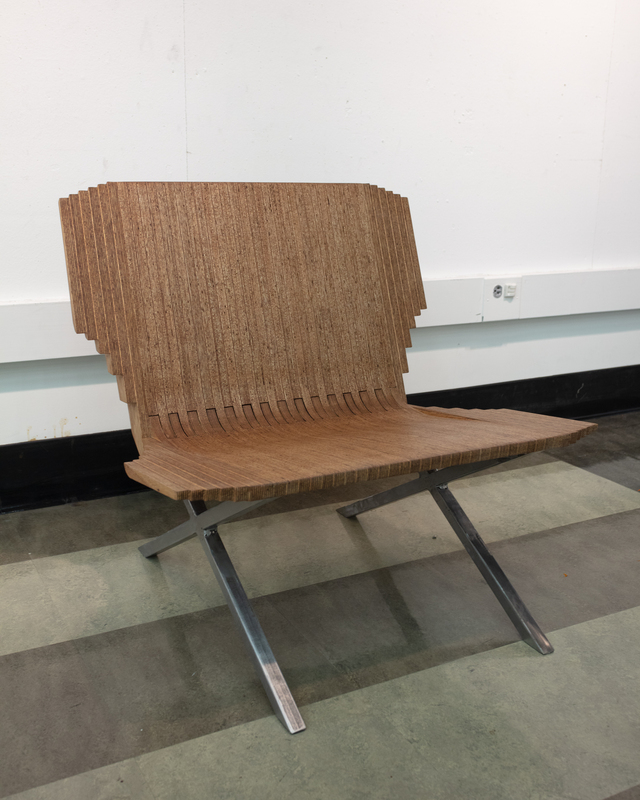 This year marks the 3rd annual form follows student seating element design competition. 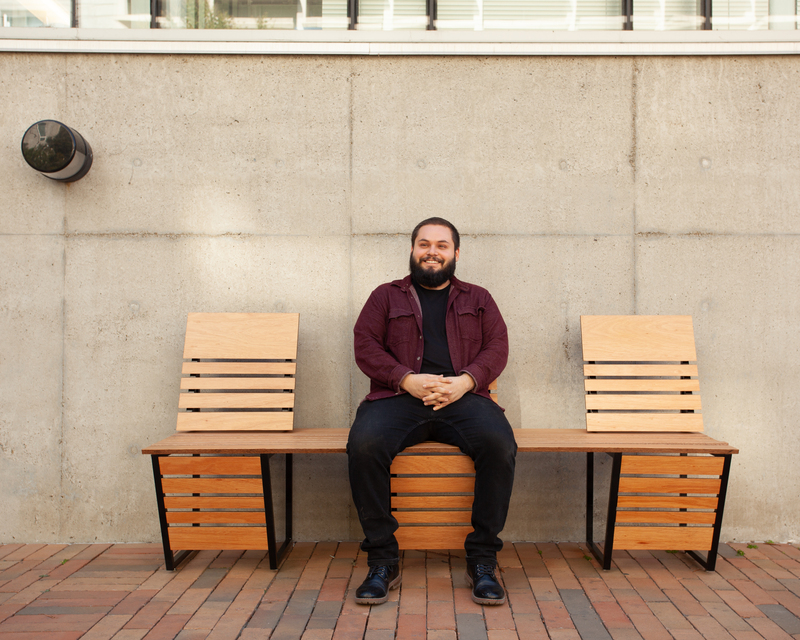 We were incredibly fortunate to have street furniture company mmcité 7 sponsor the competition, challenging CED students to design and build a seating element for the Wurster Hall courtyard inspired by collection materials in the Environmental Design Archives. 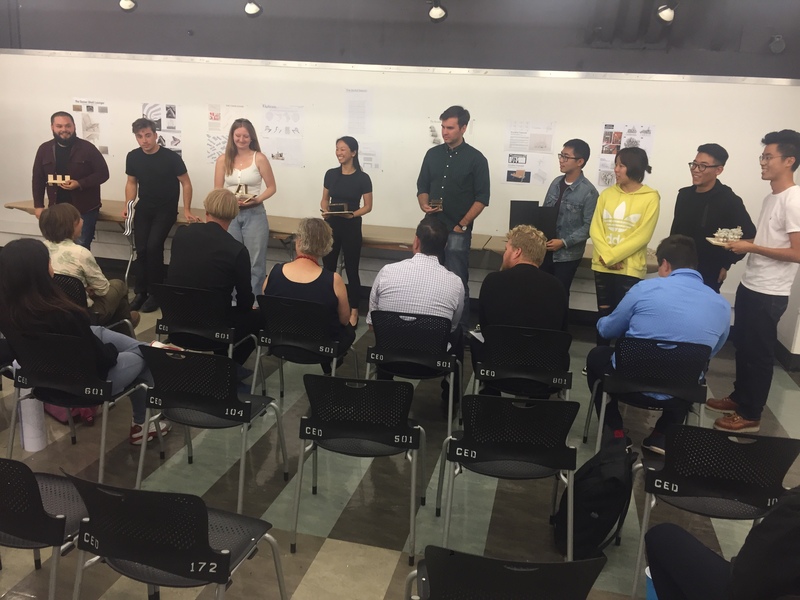 Students drew inspiration for their designs from archival materials relating to The Sea Ranch, a breakthrough example of an environmentally sensitive design that continues to grow in influence and relevance to architects and the public at large. During our first round of judging on October 11, students presented their designs to a panel of judges including David Karásek (mmcité), Dana Buntrock (Professor of Architecture), Richard Hindle (Assistant Professor of Landscape Architecture & Environmental Planning), Elizabeth Thorp (CED Fabrication Shop), and Alex Yarovoy (CED Alumnus). The judges selected five designs to move on to the second round. 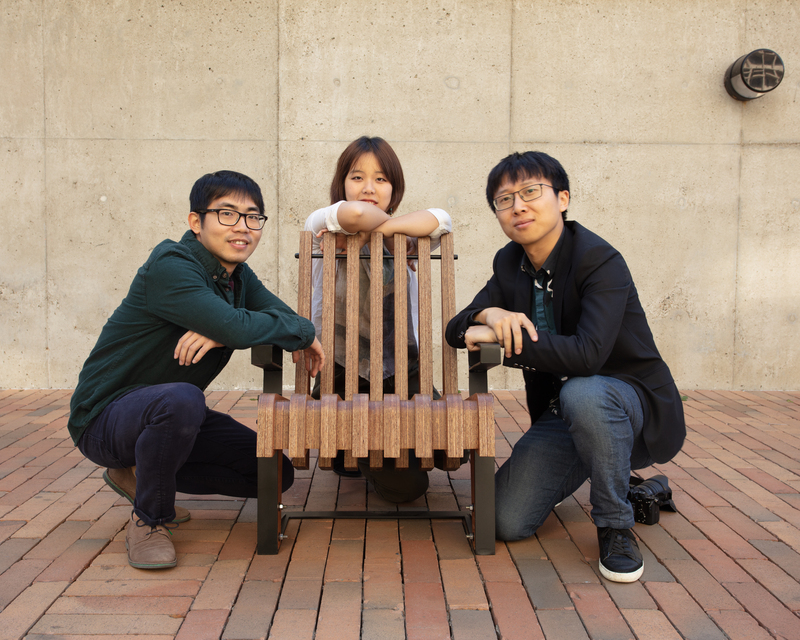 Selected students were provided with a single sheet of exterior plywood (4’ x 8’ x ¾” thick), finishing materials and $50 worth of steel to construct their seating element. 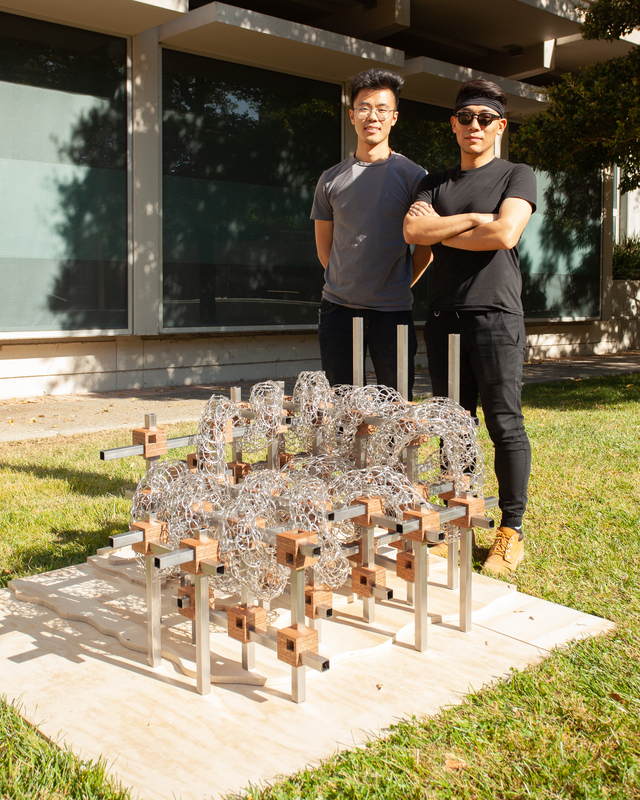 On November 8, the five completed seats were on display in the Wurster Gallery where faculty, students, and the general public were able to vote on the top three designs. These students will receive a cash prize and may be considered by mmcité for future production! All of these designs, including the five full-scale seats, are on display in the Environmental Design Library through December 20. This is an event that the Environmental Design Archives has truly enjoyed hosting. 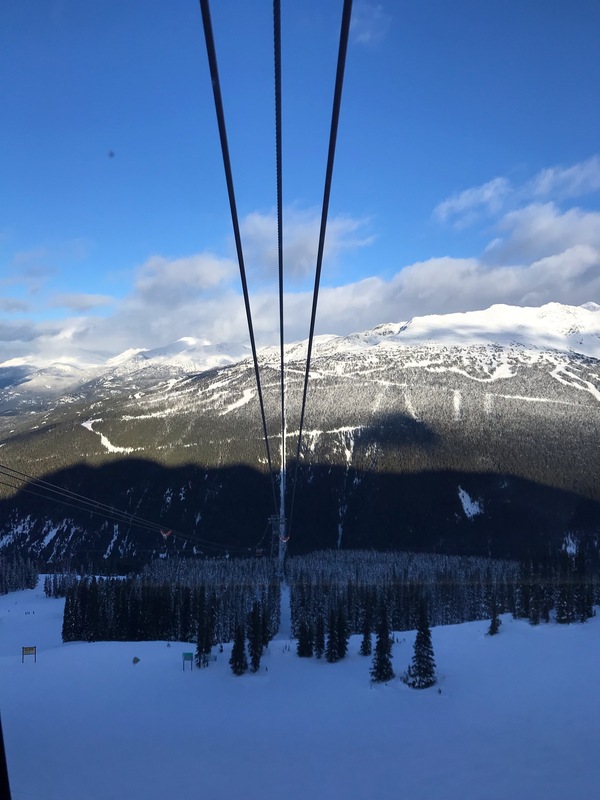 It is a wonderful opportunity for us to have students engage with primary resources and watch them create something truly unique. We look forward to continuing this competition in the future! The referral to history led to some truly unique installations. Marshall Brown’s The Architecture of Creative Miscegenation sought to address the fact that every architecture is “infected” with references from history. His collages of building typologies digitally stitched together offers a new architecture of synthesized parts. 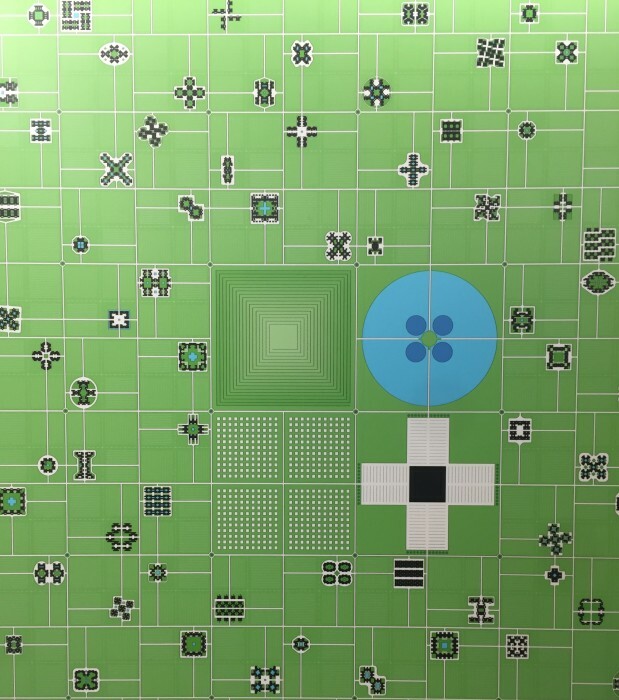 Keith Krumwiede’s wallpaper, Visions of Another America, is based on The Monuments of Paris by Joseph Dufour. His work examines the 19th century's fascination with recreating romantic landscapes and geographies in paintings and drawings for decorative display. 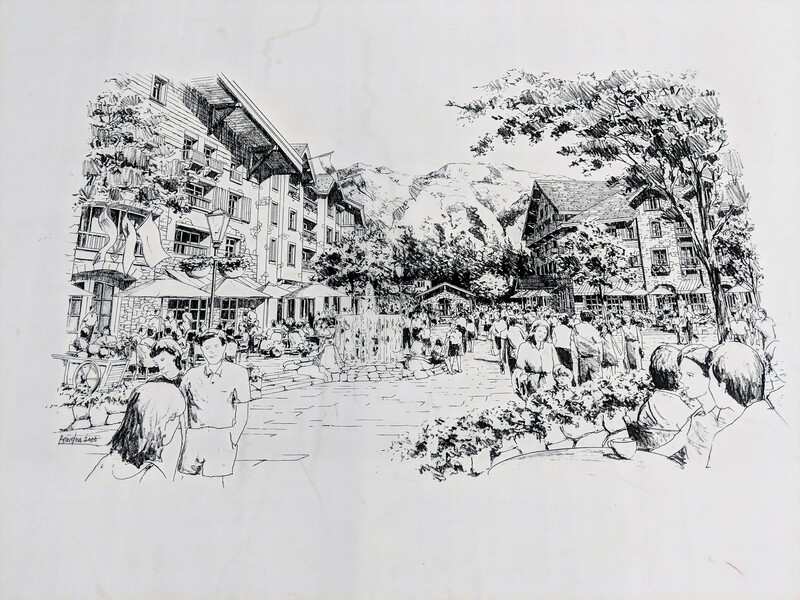 In Krumwiede’s wallpaper, historically significant architecture such as the Louvre or Porte Saint-Denis are replaced with images of fictional developer homes that he first showed in Atlas of Another America, which introduced the idea of a fictitious yet familiar suburb known as Freedomland. 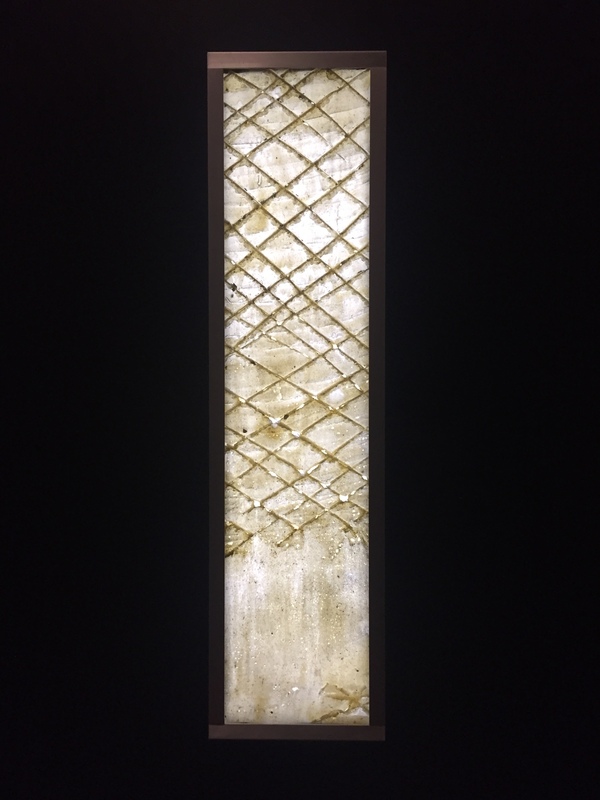 So many designers examined ways to reference and reflect on the history of architecture in their work, yet Jorge Otero-Pailos’ The Ethics of Dust literally put this physical history on display. The Ethics of Dust is a series of casts that are the results from cleaning pollution from monuments around the world. Otero-Pailos applies liquid latex to monuments; once dried, he removes the latex and along with it years of pollution, dust, and debris. These casts are not only visually stunning, but also show the impact that humans have on our architecture and environment. Sponsors of the Biennial included SC Johnson, who offered free bus tours of Frank Lloyd Wright’s design for the company’s global headquarters in Racine, Wisconsin. The aptly named “Wright Now” tour included the administration building, research tower, and the newly built Fortaleza Hall by Foster + Partners. Designed by Frank Lloyd Wright, the campus continues to be regarded as an ideal of the modern workplace. Wright’s design included an emphasis on natural light and collective workspaces, while also using the unique building technique of laying Pyrex tubes on top of one another instead of glass windows. Apparently Wright was not a fan of the local landscape, and felt that the workers did not need to look at the view when they should be working. While it’s definitely an eye-catching design, it did have some pitfalls - scientists in the research tower complained that it was too bright for them to adequately do their work, and requested that sunglasses be provided. 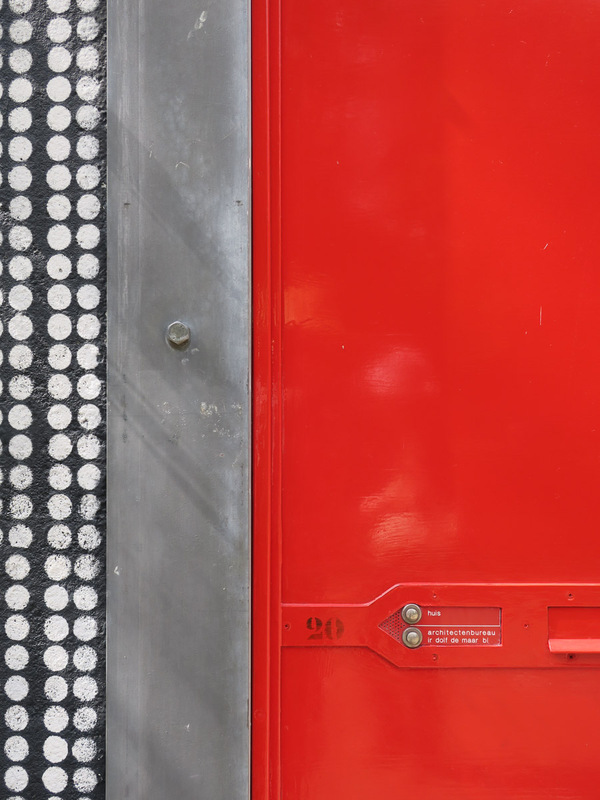 The 43 miles of tubes used were also not able to stand up to the local weather - leaks were a regular occurrence until new sealant was installed. 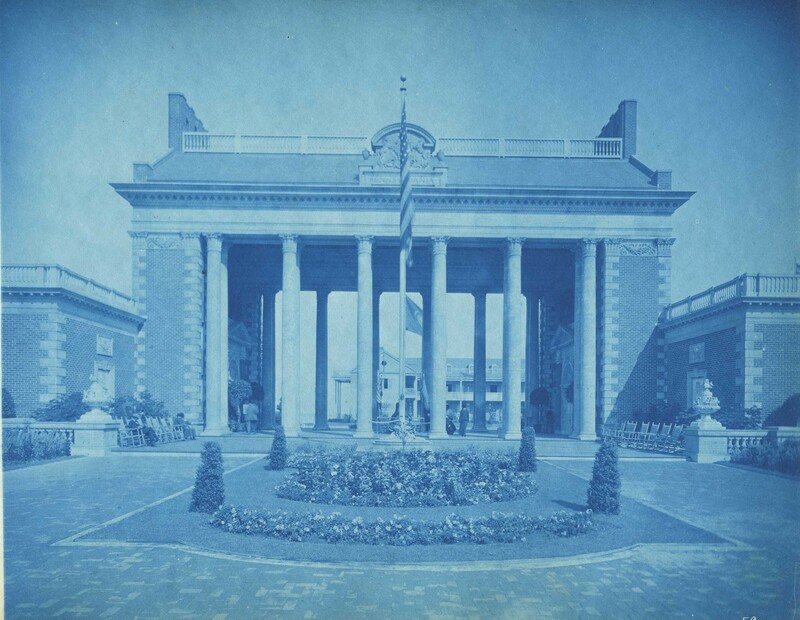 Throughout the campus, Wright also utilized tapered columns of his own design called “dendriform” to allow in light while also minimizing the floor print they occupied. Our tour guide relayed a story about how the Wisconsin Industrial Commission did not believe that these columns, which are 90-inches at the base and 18.5 feet at the top, would be able to handle the weight of his building. Wright decided to test their load-bearing abilities in public, putting sandbags on top to prove the design’s strength. After 60 tons were loaded on top of one (when only 12 were needed to prove his point), he was given his building permit. One of the most stunning aspects of the tour was the Administration Building’s Great Workroom. Spanning half an acre, this space supported the work of 200 employees. 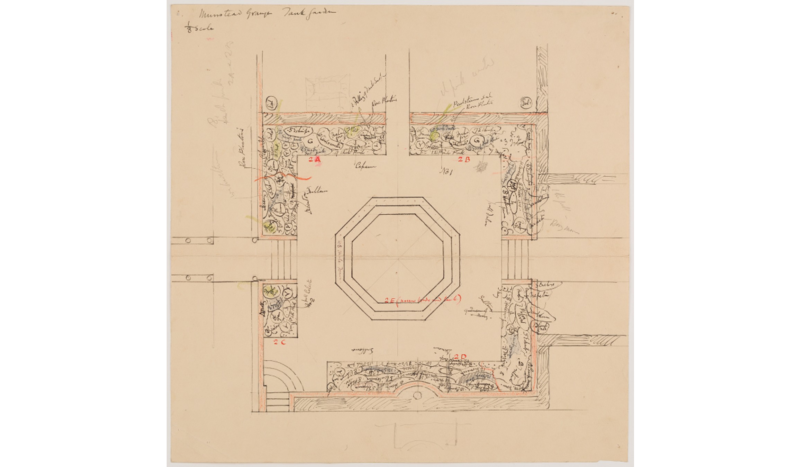 Wright designed every aspect of the building, from its architecture to the furniture, and emphasized an open and bright environment as a way promote efficiency and direct contact between workers. The space feels like a cathedral, and certainly would have been an awe-inspiring space to work in. Photography was not allowed inside buildings on the tour, but a recent Vox video emphasizes the significance of Wright’s design while also providing stunning visuals. Follow this link to watch. 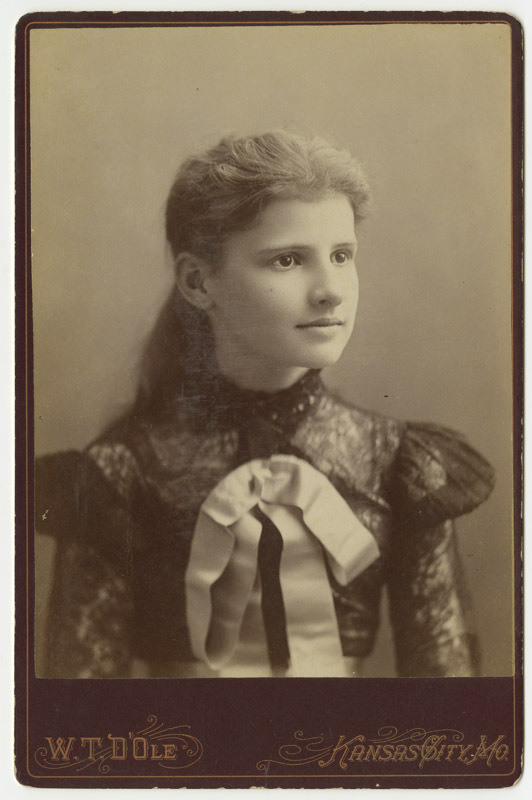 While working for the California Historical Society in the early 1980s I preserved five Willis Polk clipping scrapbooks and learned that he had a younger sister Daisy. The last volume had a number of clippings about her and the rest of the clippings were torn out. I always wondered what had happened to Daisy. So I knew that Daisy was not his aunt, but his sister and eagerly opened the package. Inside were postcards from Aunt Daisy, photographs of Willis Polk, Daisy de Buyer, and their father W.W. Polk, photographs of Willis Polk’s projects, and a copy of Architecture News (Jan 1891). 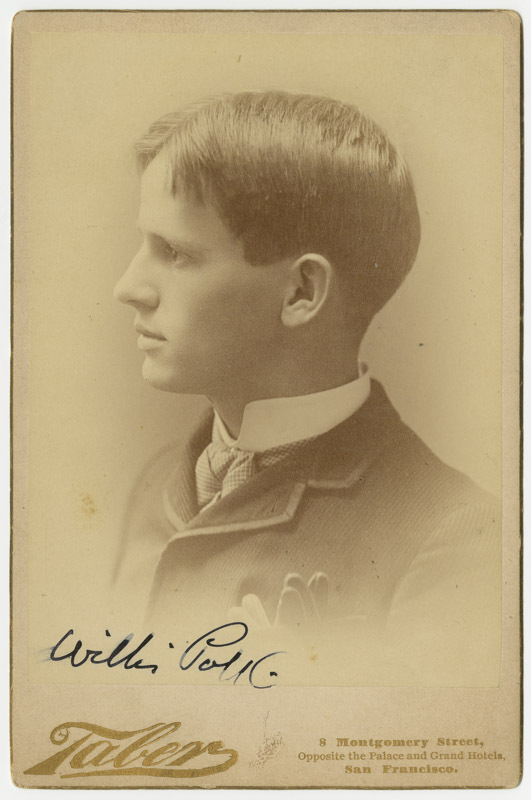 Willis Polk (1867-1924) [fig 2] was born in Jacksonville, IL, to carpenter Willis Webb Polk. He had two siblings, Daniel and Daisy (1874-1963) [fig 3]. Polk entered into partnership with his father and brother opening the San Francisco office of Polk & Polk (1892-1894). Neither Willis nor Daisy had children, so it was likely that Alice had been Dan’s child. I called the person who donated the material and asked him how he came to have it. 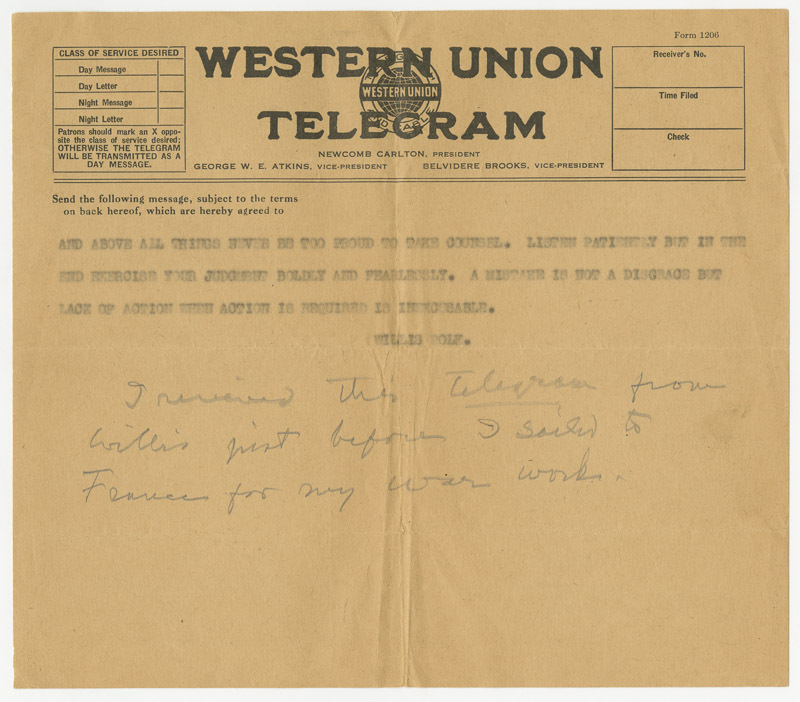 He explained that his mother had purchased a house in Fresno and found this envelope in the attic. He took it home when he cleared out her house following her death as he found these historical artifacts interesting. After a few years he decided the material belonged in an archives, found that EDA had a Willis Polk collection, and dropped it off. The story of Daisy’s life would make a great movie. She was trapped in Europe at the outbreak of WWI [figure 4] and became active in French relief efforts including working with future president Herbert Hoover on Belgian Relief. 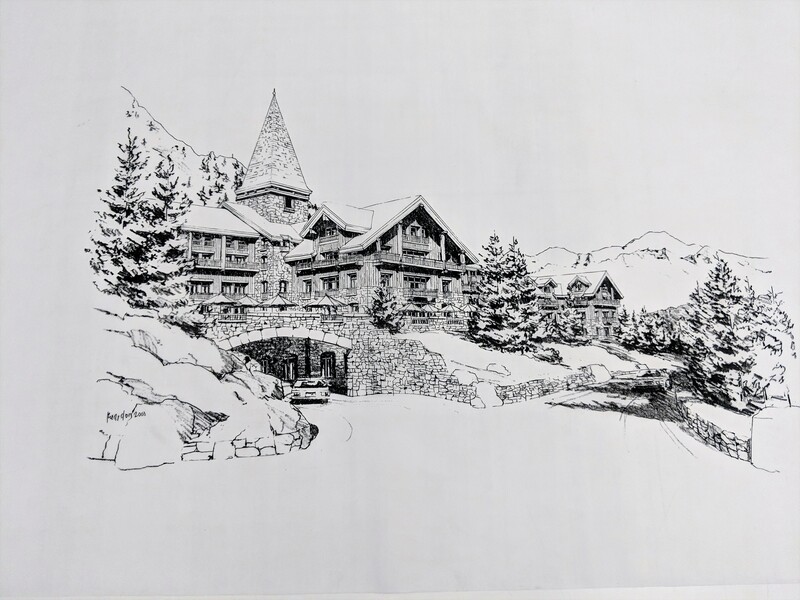 [fig 5 daisy] After the war, Mrs. W. H. Crocker of San Francisco used her personal funds to rebuild the village of Vitrimont which had been nearly destroyed and put Daisy in charge of the project. 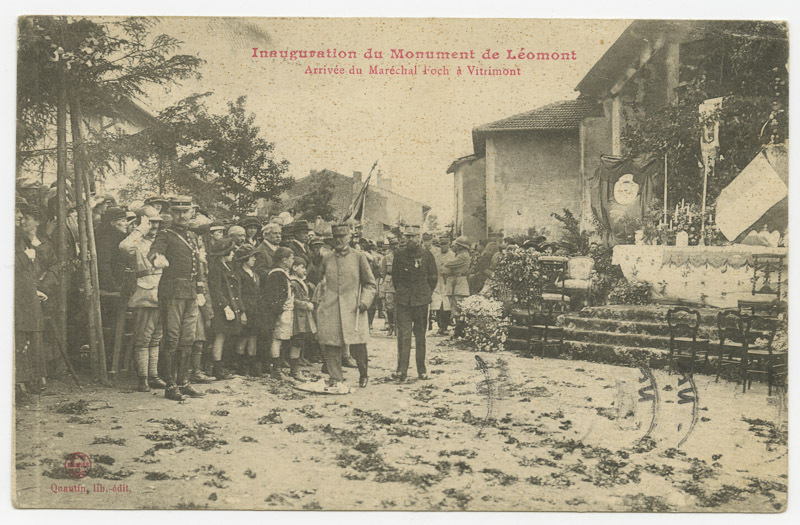 [fig 6 -postcard]. While at Vitrimont, Daisy's car broke down and General de Buyer, who lived nearby at Nancy, happened to be passing and lent assistance. 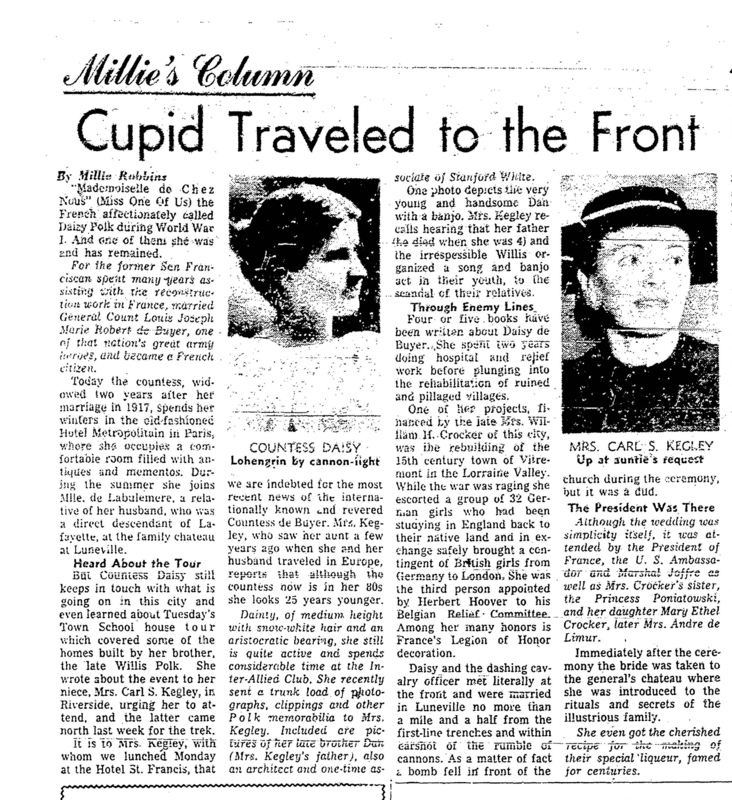 From this chance meeting, “romance bloomed” and the couple married the following year. 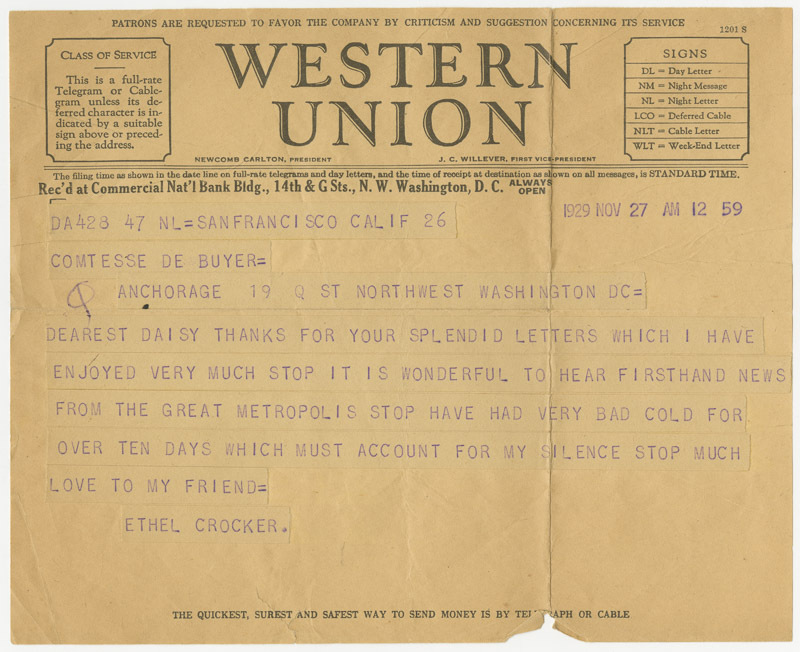 [fig 7- crocker telegram] For her relief and rebuilding work, Daisy was awarded the Medaille de la Reconnaissance Francaise (Silver) in September of 1919, and the following year was created a Chevalier in the Order of the Legion of Honor. She was known as Un Ami de France. Following her husband’ death after only two years of marriage, Countess Daisy de Buyer relocated to Paris which became her principal residence. 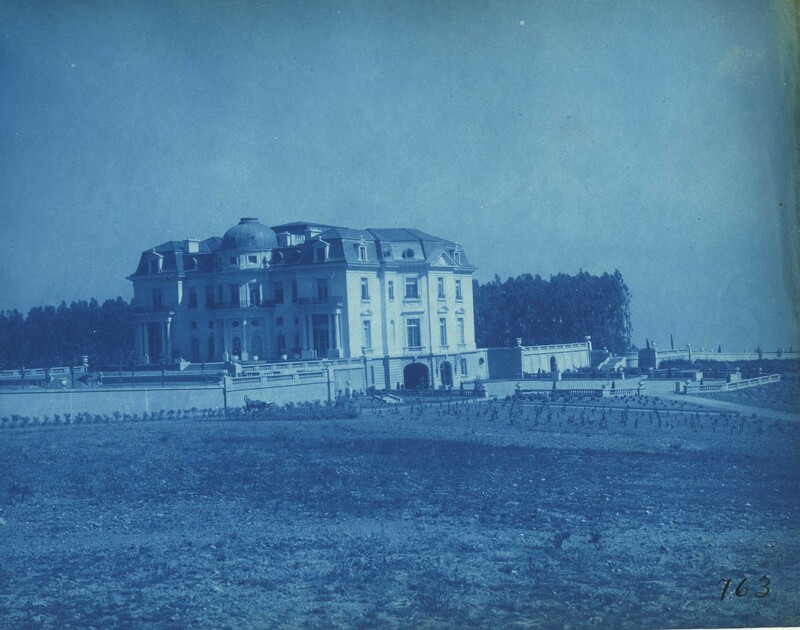 She wintered in Paris, travelled, and spent her summers in the family chateau in Nancy. She is buried in in her husband's family cemetery at Besancon. 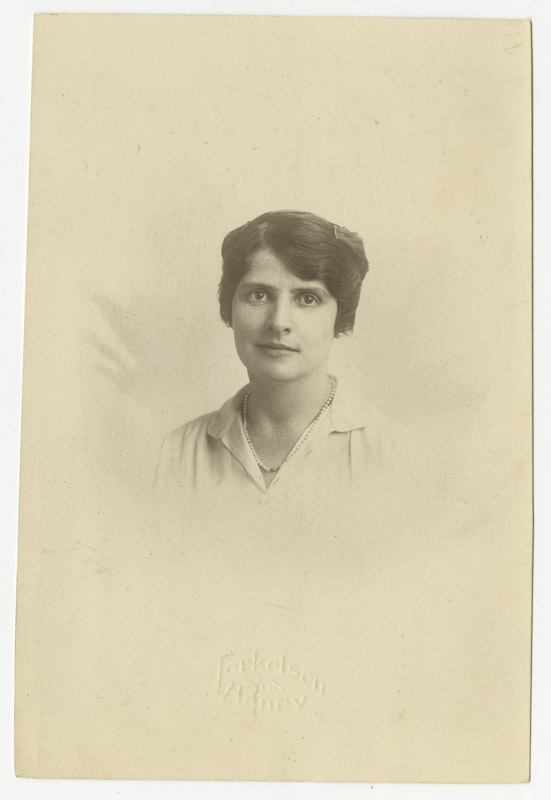 Daniel Polk had a daughter Alice (1907-1960) who remained close to her aunt Daisy. [fig 8 March 1957] One of the news articles reports that Daisy gave her niece a trunk of family photographs and papers! Sadly, Alice Polk Kegley was killed in a car accident after which her husband Charles (Carl) Smith Kegley (1897–1979) moved to Fresno. 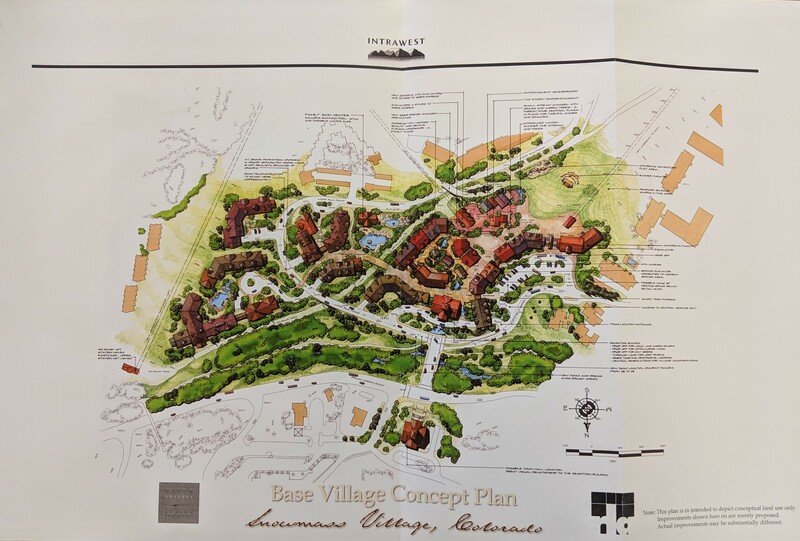 This is one example of how historical treasures can arrive at the archives through a roundabout route and added to existing collections at the Environmental Design Archives. A short trip to the Netherlands this summer gave me the chance to see some long-time favorite buildings in their native context. 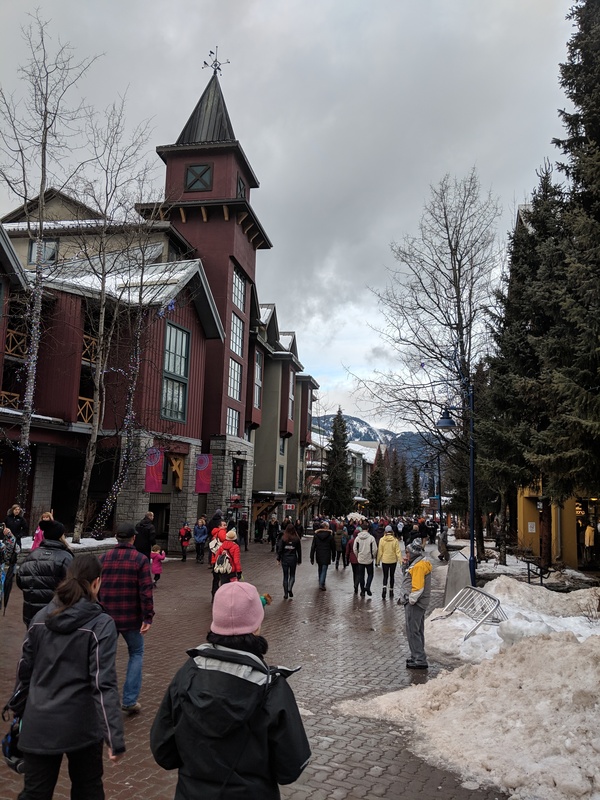 This travel also fired my imagination as to the possibilities of human-scale architecture and landscape, expressed through pedestrian and bicycle friendly infrastructure, easy transportation, and community gardens. 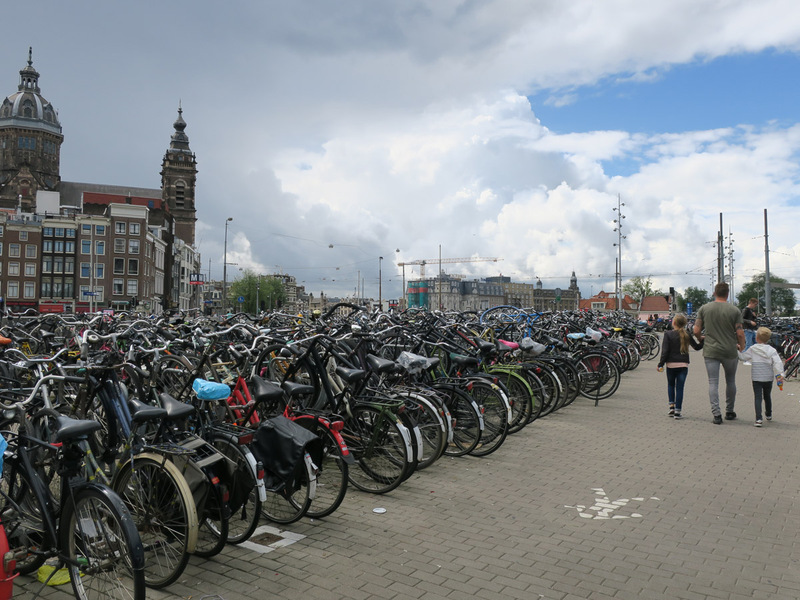 People often think of bicycles when they think of the Dutch and it’s easy to see why: there are bikes everywhere, as well as the infrastructure to accommodate them. 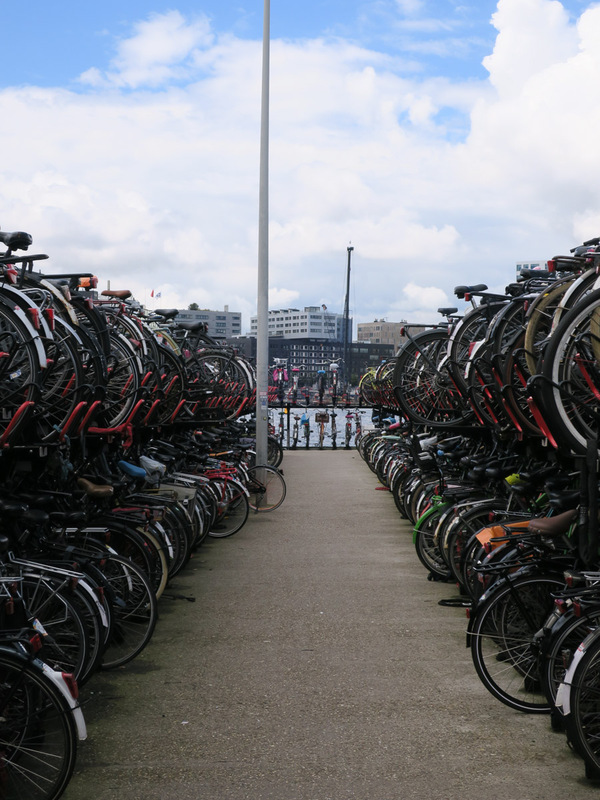 Upon exiting Amsterdam Centraal Railway Station, you cannot miss the sea of bicycles. There is even a “garage” with multiple levels, as clearly there is no more room at street level. If you exit out the back of the station, there are floating bike parking lot barges, some with double-deck racks. There are bikes everywhere – and not just used for personal transport. This delivery bike was seen in Da Costabuurt, a neighborhood West of central Amsterdam. 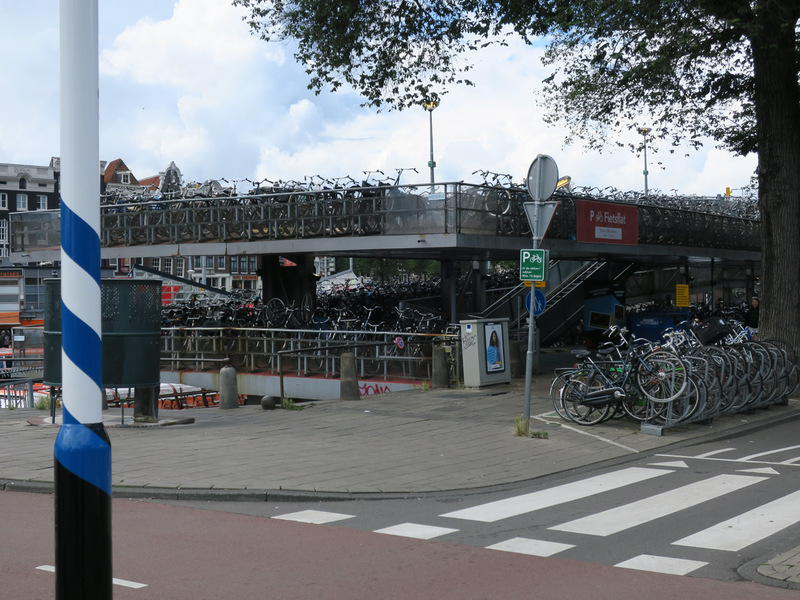 Besides bicycles and their paths, Amsterdam is crossed by trams and ferries. 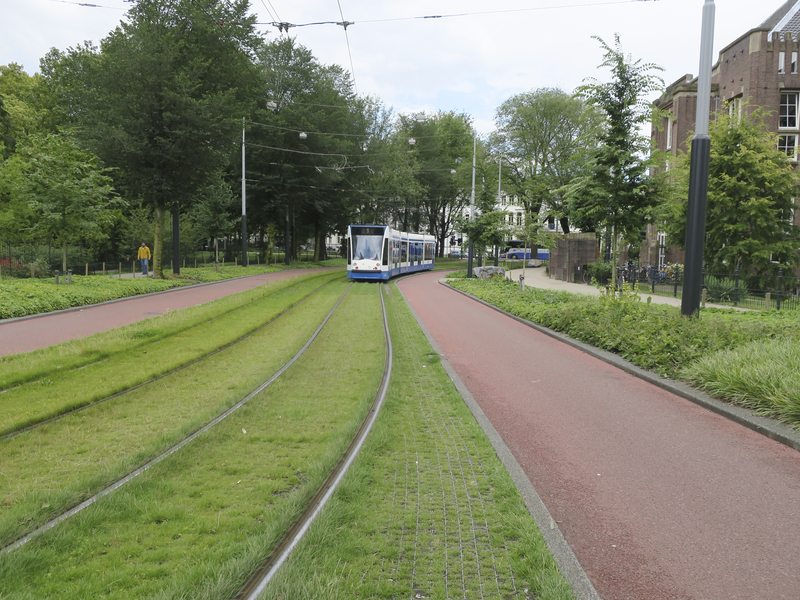 In some places, the trams have their own rights-of-way, lined with cycleways and sidewalks, of course. 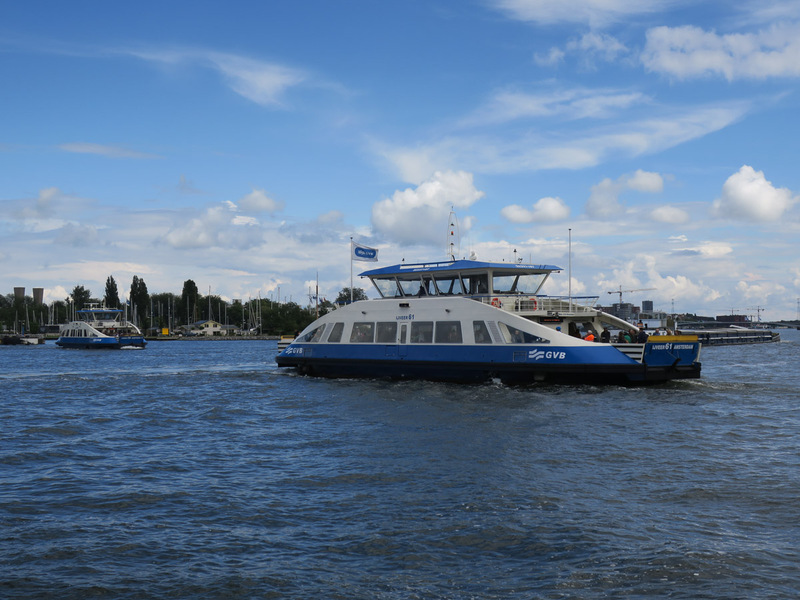 Free pedestrian/bike ferries cross the IJ and link the North side of Amsterdam with the city center. 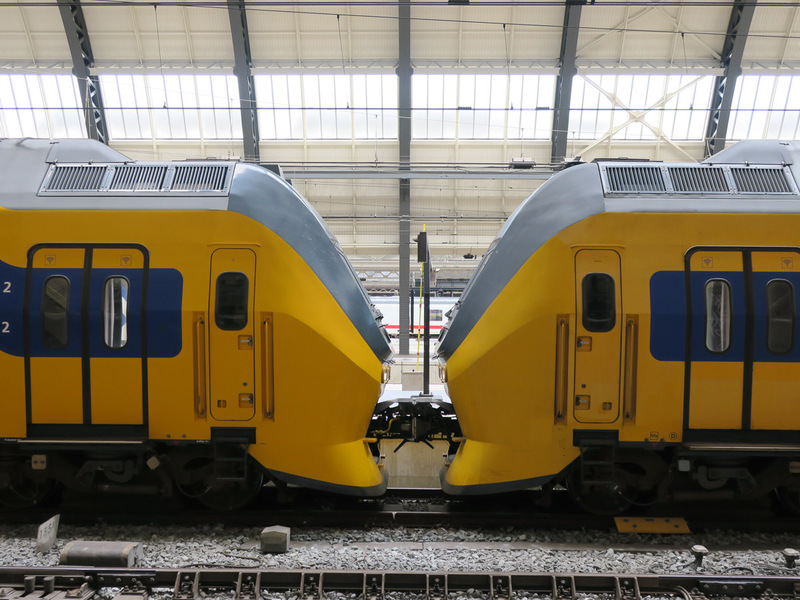 Transport to other cities in the Netherlands is easy via train, with frequent service on fast intercity trains. 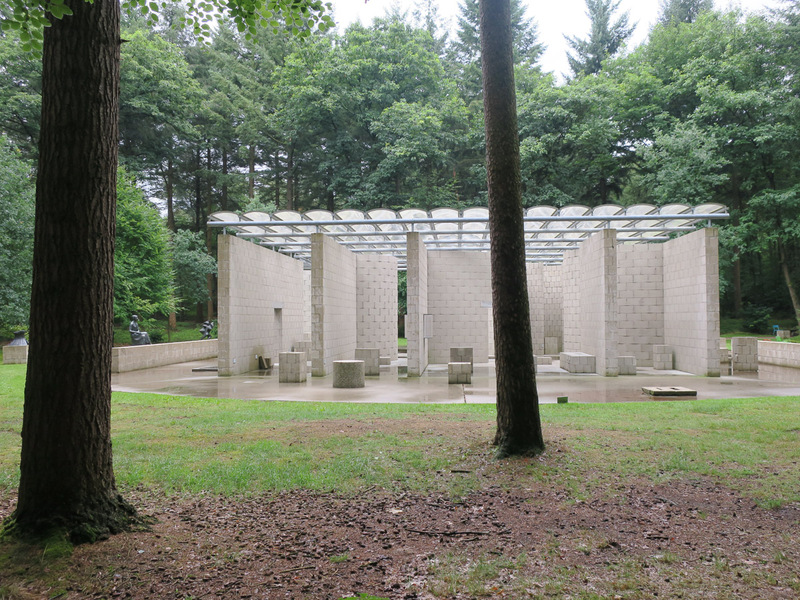 We took a train to the town of Ede, and then a bus into the Nationale Park De Hoge Veluwe, to visit the Kröller-Müller Museum, which is a beautiful museum of 19th and 20th century art set in a forested sculpture garden. 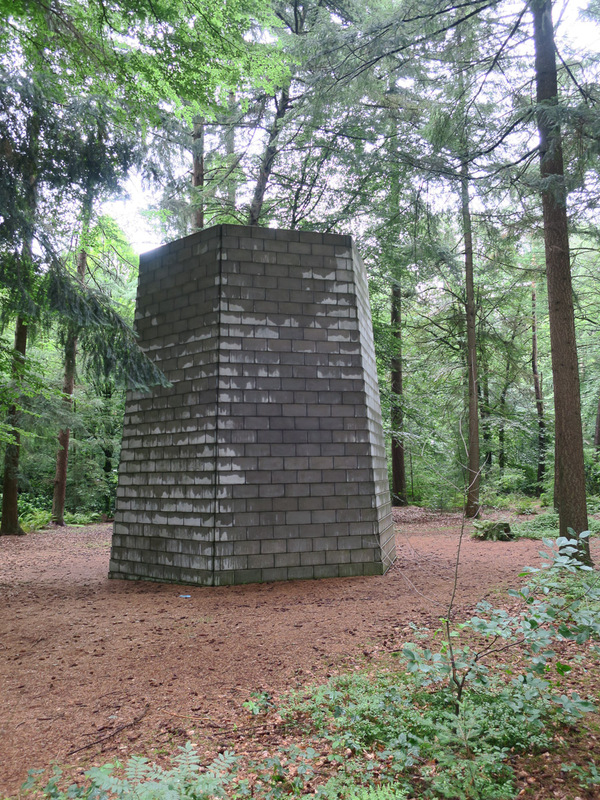 The museum grounds are home to classic monumental sculpture, such as Sol Lewitt’s Six Sided Tower, as well as pavilions, such as Aldo van Eyck’s pavilion originally built in 1966 for a sculpture exhibition in Arnhem, but rebuilt at the museum in 2005. Via train we also visited the city of Utrecht, principally to see the buildings of Gerrit Rietveld. 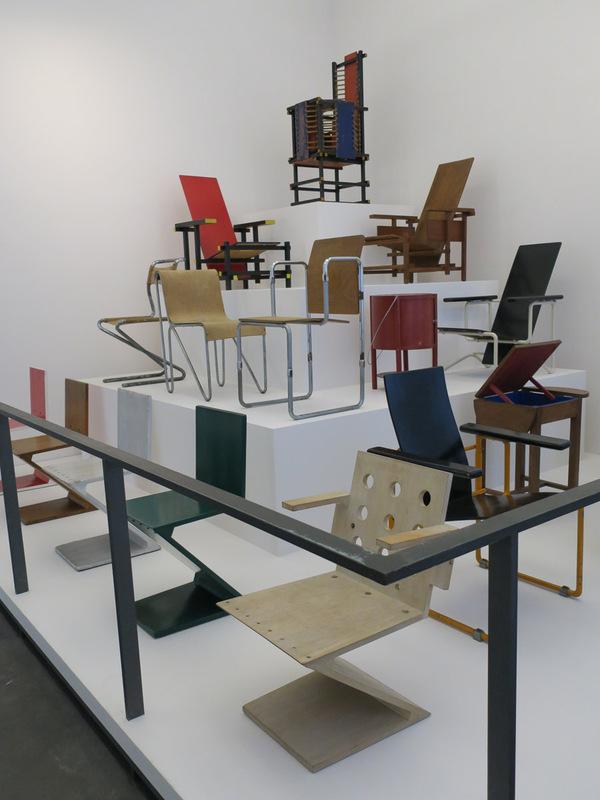 First stop, of course, was the Schröder House of 1924. Not usually noted is that this small house faces an elevated freeway (behind the photographer in this picture). 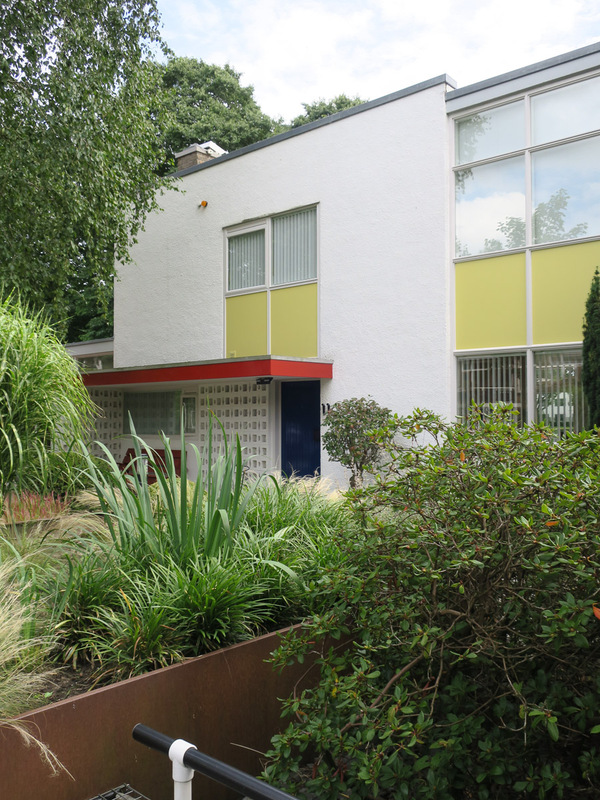 The land beyond the freeway was owned by Madame Schröder, and when the road was built, she commissioned Rietveld to build dwellings on the former farmland. These apartment buildings, known as the Erasmuslaan Houses, were built from 1931 to 1934. 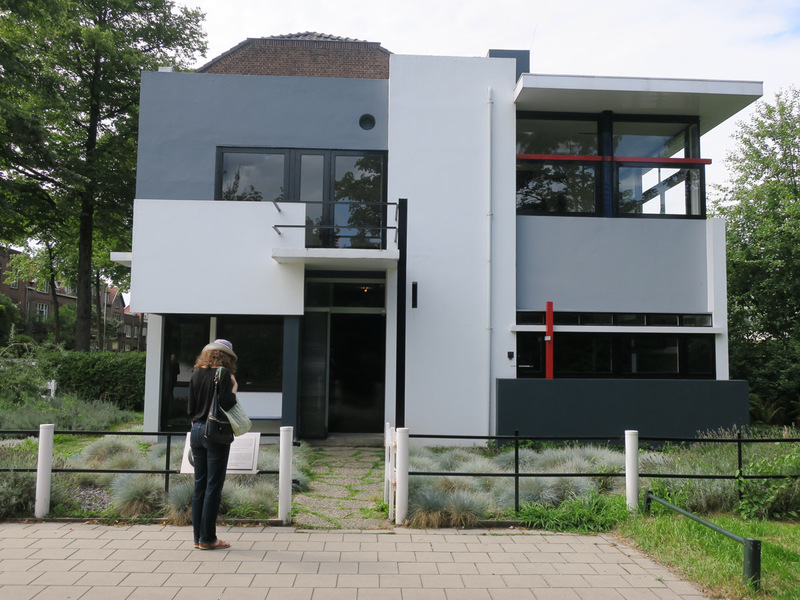 We also visited Rietveld's 1928 Chauffeur’s House, with it’s finely patterned painted façade and bright red door. 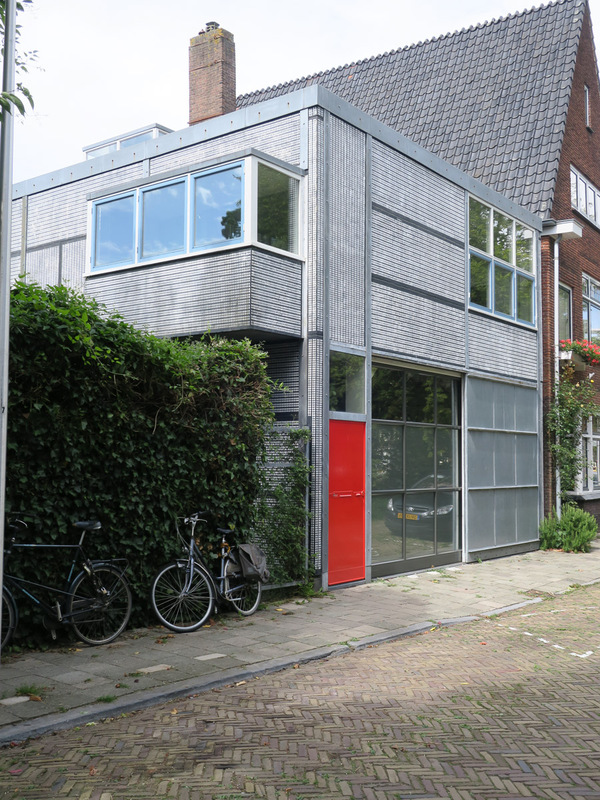 Utrecht is home to many more Reitveld works; for example the 1960 Theissing house, and examples of his furniture at Utrecht’s Centraal Museum. 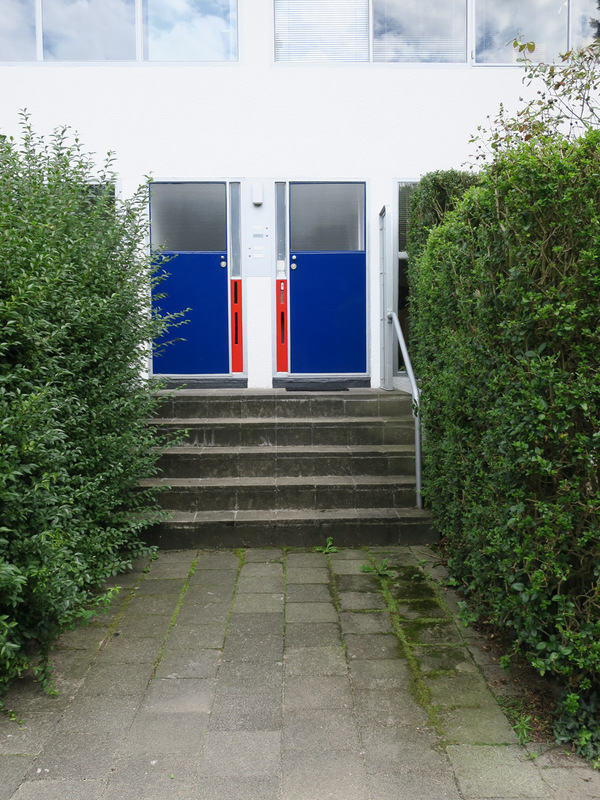 Back in Amsterdam, we took time off from architectural delights to visit a few of the community, or allotment, gardens known as volkstuinen. They are beautiful parks full of small land plots where the Dutch tend vegetable and flower gardens and get away from the city to relax in small cabins. 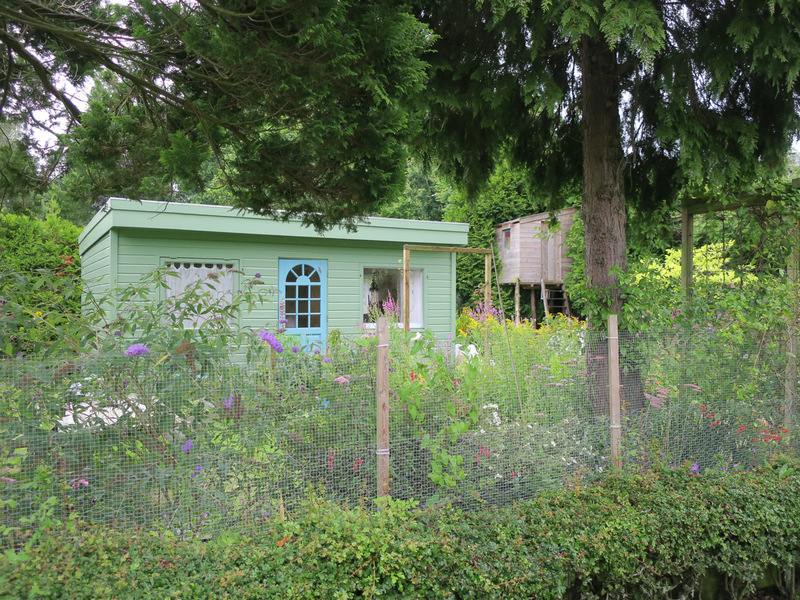 These allotment gardens are like miniature cities unto themselves – complete with miniature streets and canals. 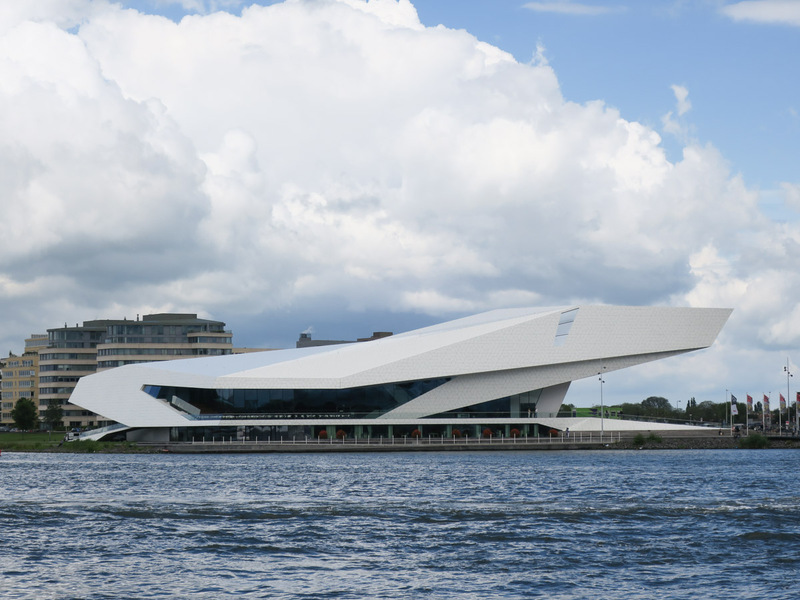 Amsterdam manages to balance new large-scale architectural projects, such as the 2012 EYE Film Institute Netherlands by the Austrian firm Delugan Meissl architects, with more ‘traditional’ landscapes. 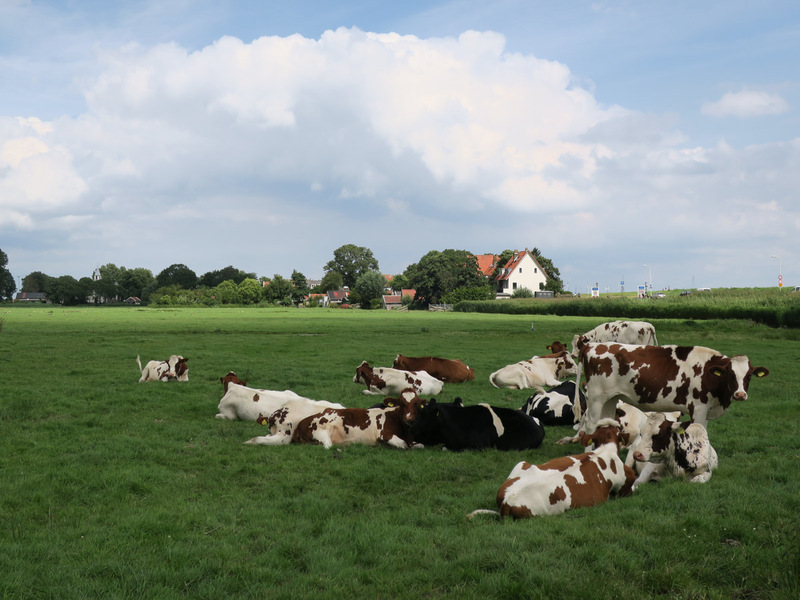 Not twenty minutes by bike from the Eastern districts of the city, the farms and open spaces of Amsterdam-Noord, or Waterland, offer a timeless vision of the Dutch Landscape. Back from three weeks in Scotland. Following a short stop in London, I got to Glasgow for the Society of Architectural Historians annual meeting. It was great to hear papers presented by current and former students and faculty. One session focused on the architecture of the coal industry “the industry that drove industry". In the 1950s, 90% of all energy came from coal, and according to Dr. Oglethorpe of Historic Environment Scotland - April 24, 2017 was the first day no coal was burned in the UK for more than two hundred years. That Scotland had 300 coalmines was brought home on a visit to Chatelherault, (completed 1743) home of 5th Duke of Hamilton. Although the hunting lodge designed by William Adam still stands [fig 1, 2 & 3] the Hamilton Palace, sometimes described as Scotland’s Versailles was demolished in part because the ground it stood on was unstable as a result of the coal mines underneath. Following the conference additional tours and vacation spent visiting the island and highlands revealed a profound range of landscape and structures. The earliest of these the standing stones near the village of Callanish (Gaelic: Calanais) on the west coast of Lewis in the Outer Hebrides erected in the late Neolithic era, and a focus for ritual activity during the Bronze Age and the Bronze Age Clava Cairns near Inverness. [Fig 4, 5]. Like the abbey on Iona, many of the windows of Glasgow’s Gothic cathedral, built from the late 12th century onwards, are comprised of clear leaded panes rather than colored ones. 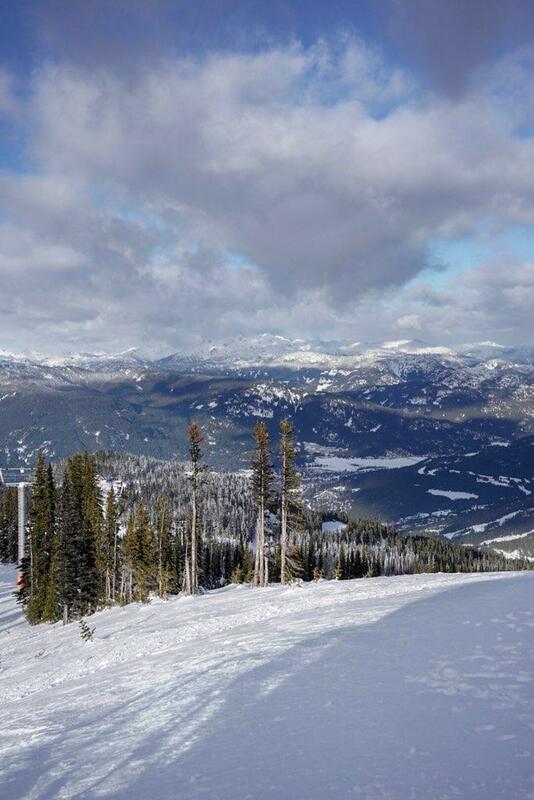 [fig 8-10] We surmised this may be to take advantage of the light whenever possible in such a northern location. We visited the ruins of medieval Bothwell castle from the 13th century [fig 11], Cawdor Castle, fictional home of MacBeth, built around a 15th-century tower house, with substantial additions in later centuries. It is surrounded by gardens, formal and wild [fig 12, 13], and Sterling Castle, which dates from the early 12th century, although the present buildings were mostly built between 1490 and 1600 [fig 14]. My favorite site was the cotton mill complex of New Lanark created in 1785 on the banks of the river Clyde. Under the management of David Dale and his son-in-law Robert Owen, it became world famous for its educational and social practices. It is now restored within a “sublime” landscape [fig 15, 16]. This wonderful trip also included crofts built from and burning peat , 18th century bridges, 19th century gothic “castles” and their Jekyllian gardens, sheep on the one-lane roads, and time spent driving along Lochs Lomond and Ness and through the Cairngorm mountains [fig 17- 21]. Last month, Chris Marino, Referenence Archivist and I helped to plan a Wikipedia edit-a-thon in conjunction with Women’s History Month. 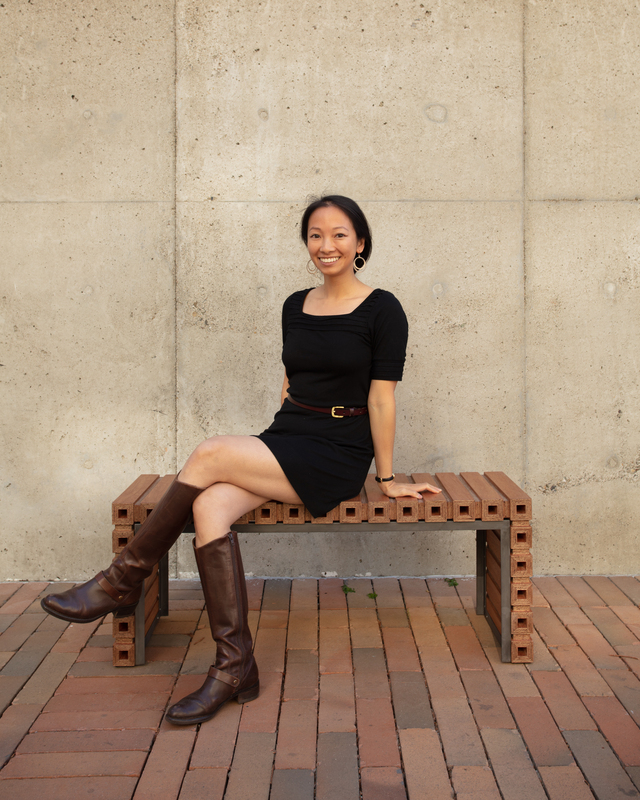 We worked with other librarians on campus to create an event for the UC Berkeley community of students, faculty, and staff to help close the gender gap on Wikipedia and ensure that published content is not skewed by the lack of female participation. The event used the Art + Feminism organizer’s kit which provided us with the materials we would need to host an edit-a-thon. Open to all gender identities and expressions, the event addressed the gender imbalance on Wikipedia by editing existing pages relating to art and feminism. With less than 10% of contributors to Wikipedia identifying as female, events like this are essential to train a new community of editors and encourage active participation in editing and creating content for the site. Our Wikipedia edit-a-thon took place on March 21, 2017 in UCB’s Moffitt Library during the afternoon. 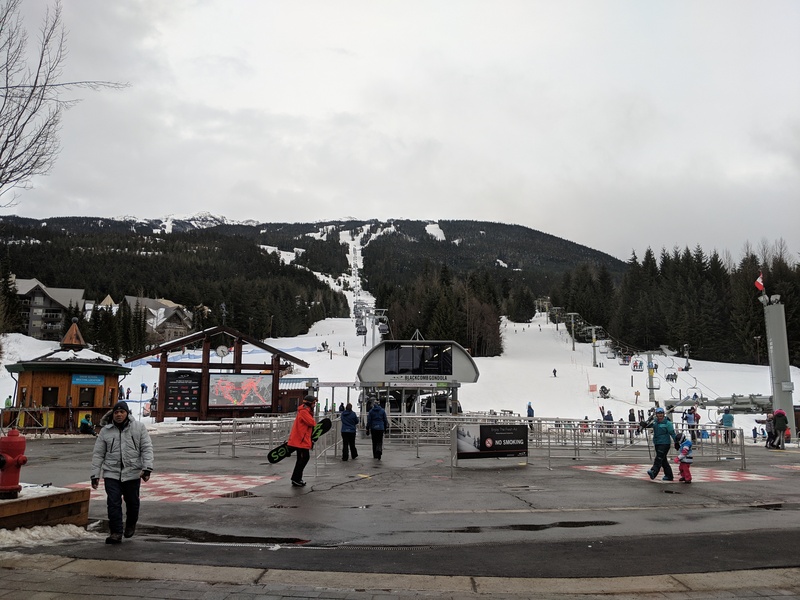 We offered three training sessions throughout the event for new editors, and encouraged those with experience to stay and edit content in a communal setting. 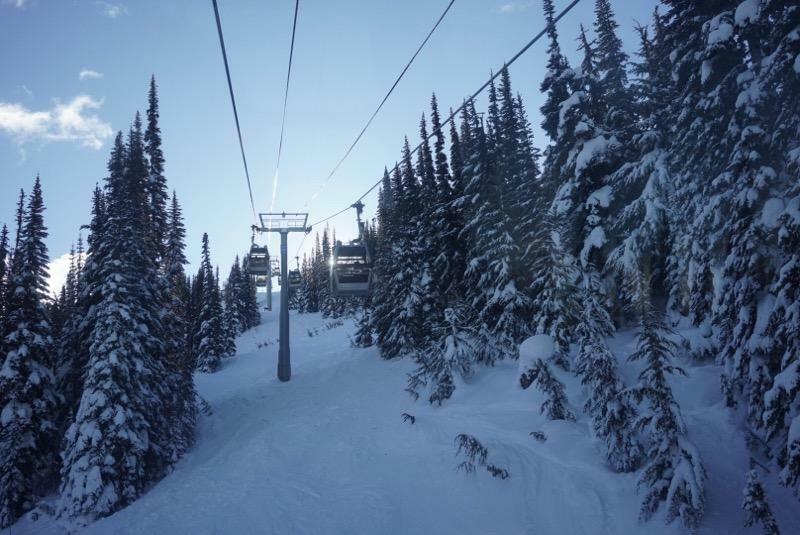 Nearly 20 people participated in the event, resulting in 26 articles being edited and 1,500 words added. As of this writing, the event has resulted in the edited articles being viewed over 20,000 times. 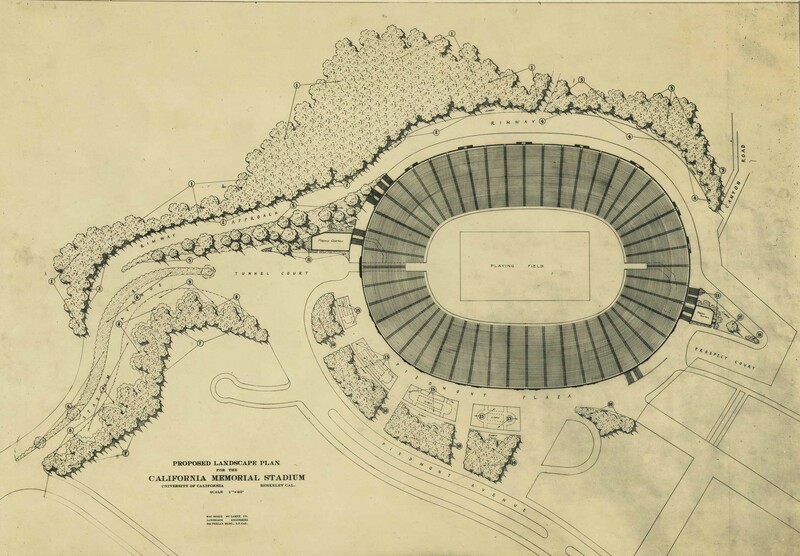 The planners for this event created a suggested list of pages that needed editing, and Chris and I included several names from EDA collections including: Edith Heath, Barbara Stauffacher Solomon, and Geraldine Knight Scott. Chris and I are planning a similar event for September 7, 2017 in conjunction with our exhibit exploring design and diversity, throughout the history of the College of Environmental Design, between women designers and powerful men, and significant work from a diverse group of designers in the EDA collections. We will post more about the event in the coming months, and hope you can join us!